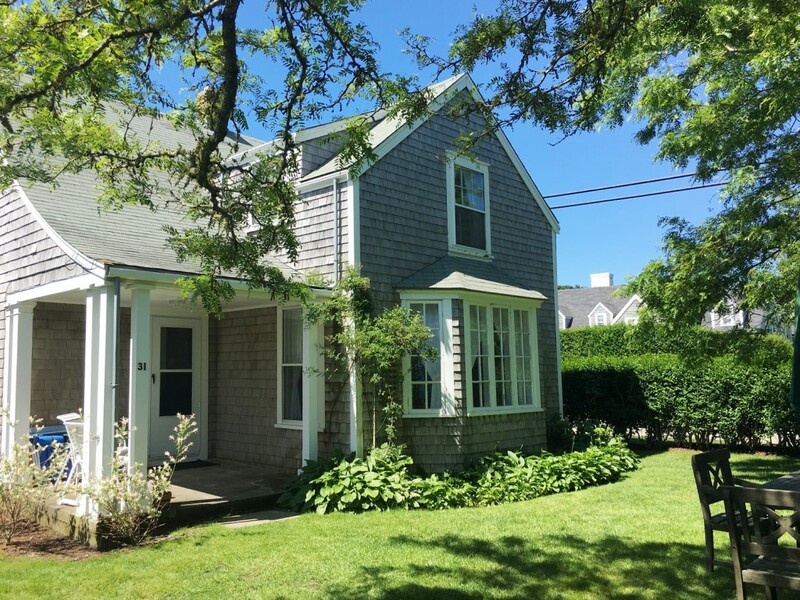 In 1929, the Wade family purchased a group of cottages in the quaint village of Siasconset (or ‘Sconset) on Nantucket Island. 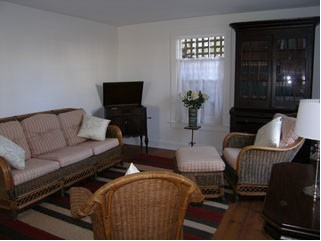 The cottages had been a vacation colony since the 1800’s. 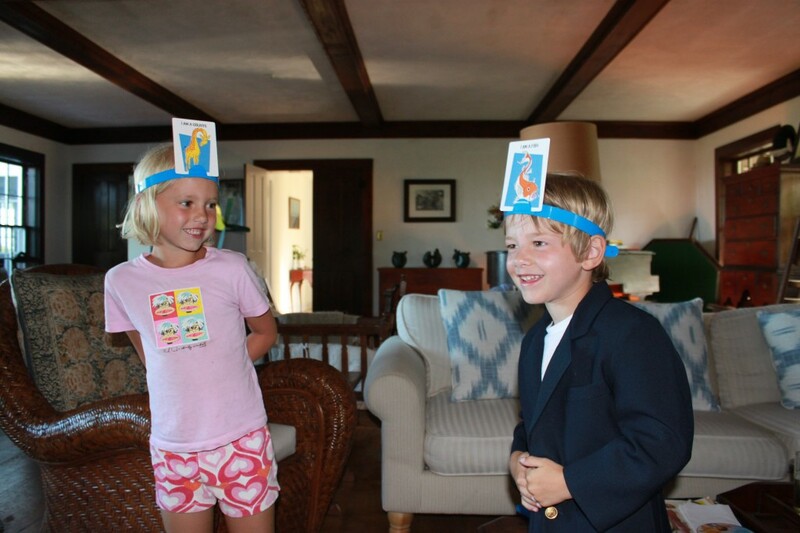 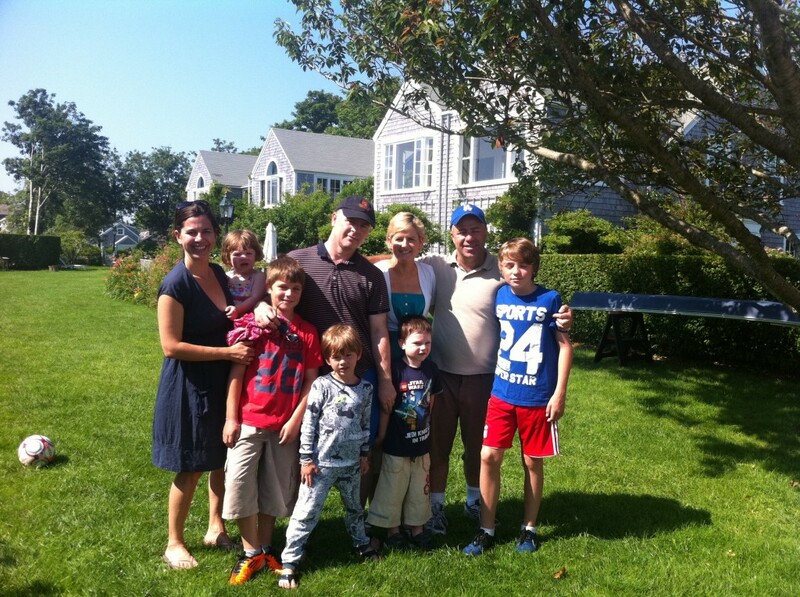 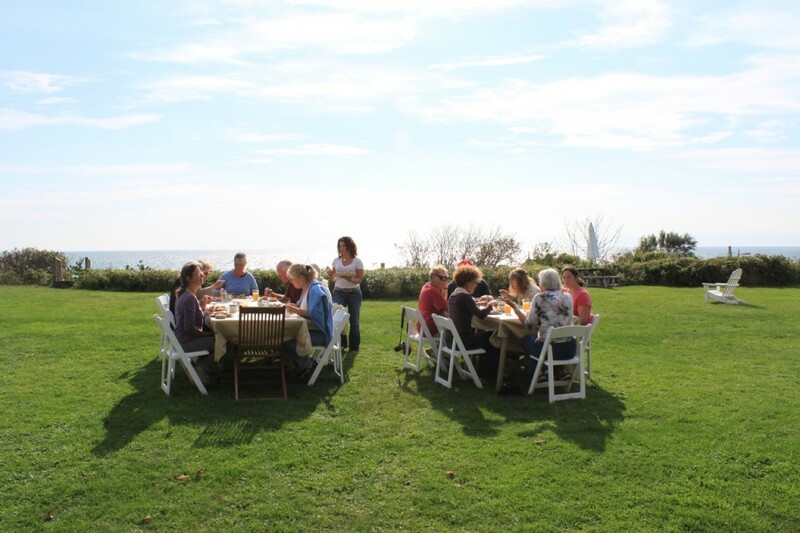 Members of the Wade family still own and manage the compound and continue to welcome guests. 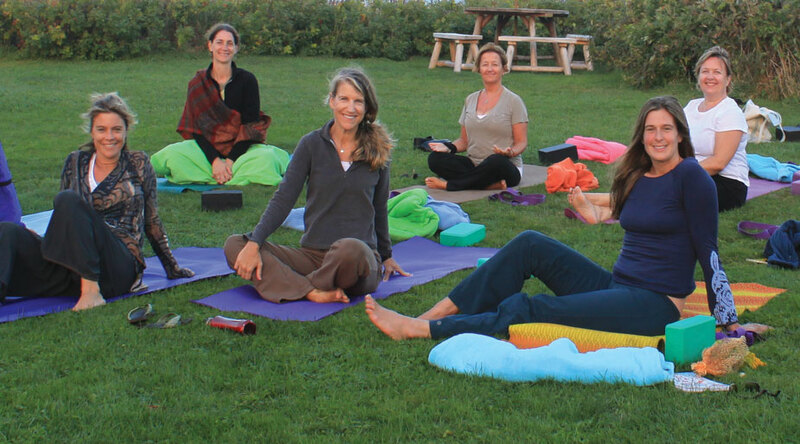 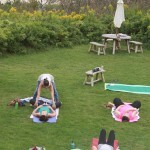 For more than eighty years, they’ve shared this corner of heaven with friends and relatives, vacationing families, newlyweds, wedding parties, and most recently, those seeking to escape the workaday world for yoga, meditation, writers’, or artists’ retreats. 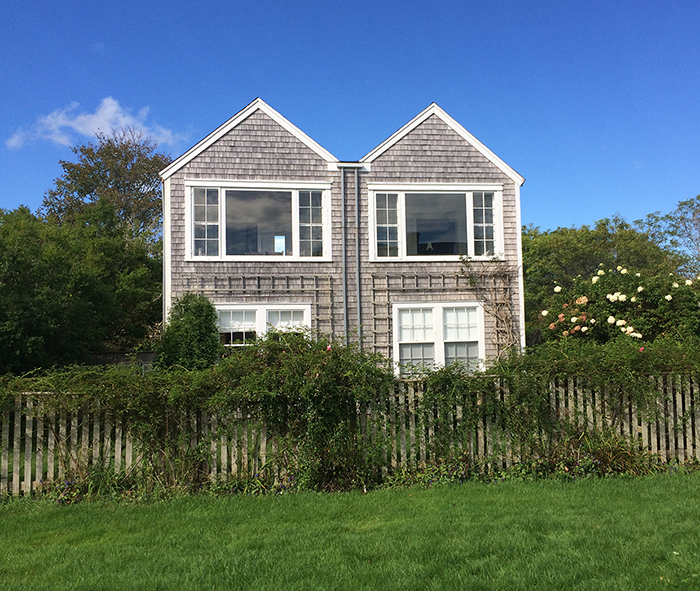 The Cottages stand on the ‘Sconset bluff, facing due east above the dunes and beach. 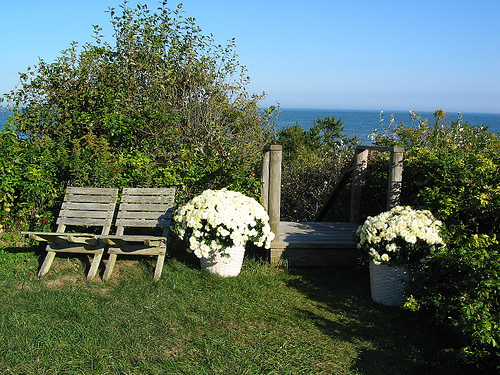 Just to the south is the village center, which is well known for its remarkable charm. 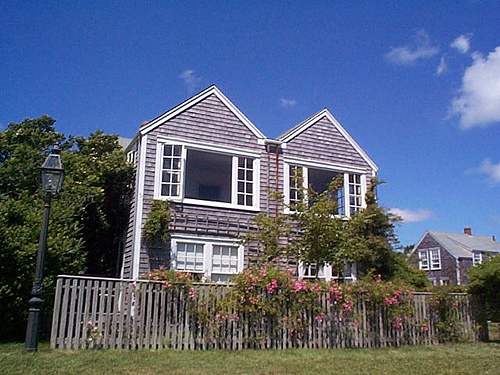 ‘Sconset’s storied fishermen’s cottages, built when the village was settled as a whaling outpost more than three centuries ago, are prized for their historical and architectural uniqueness. 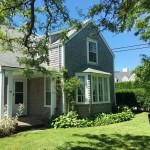 The Wade Cottages are located at 35 Shell Street in ‘Sconset. 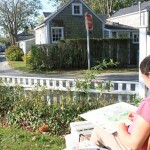 View the map and get driving directions. 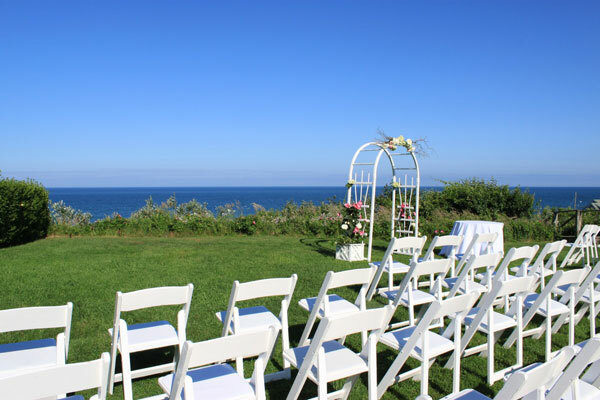 We invite you to view our aerial video, shot by Georgi Totev. 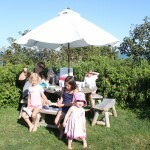 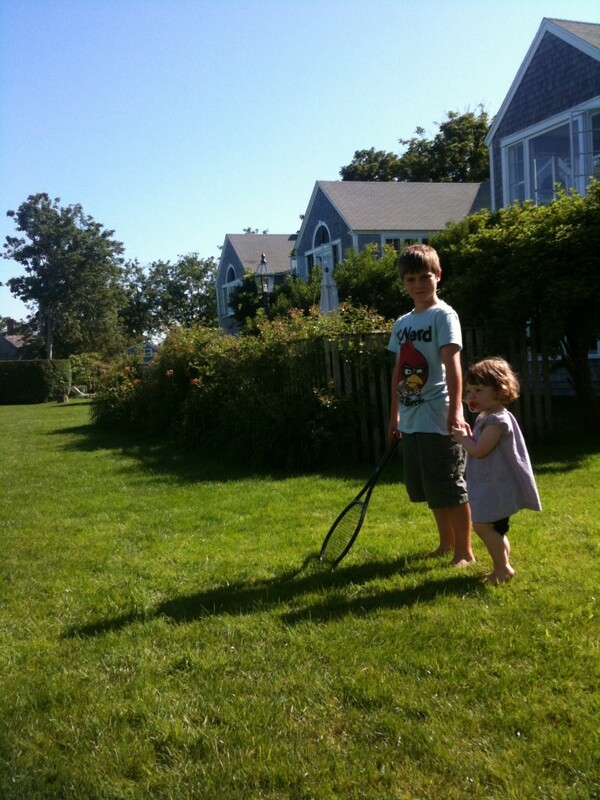 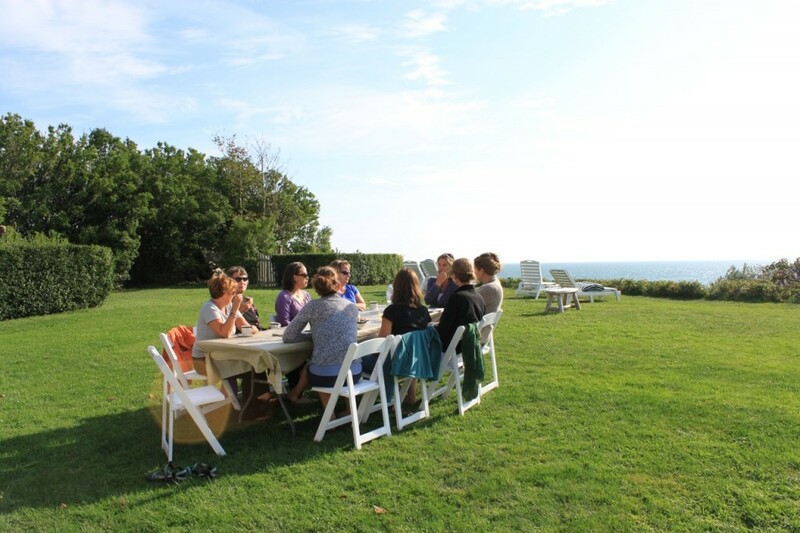 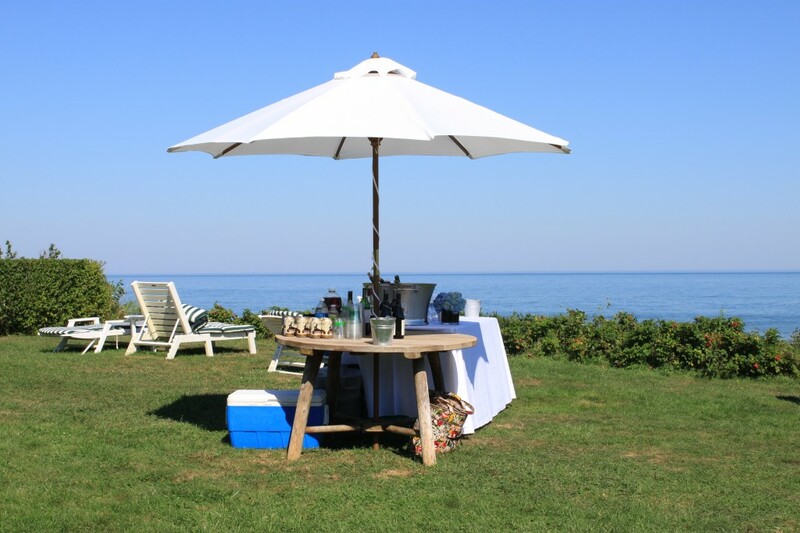 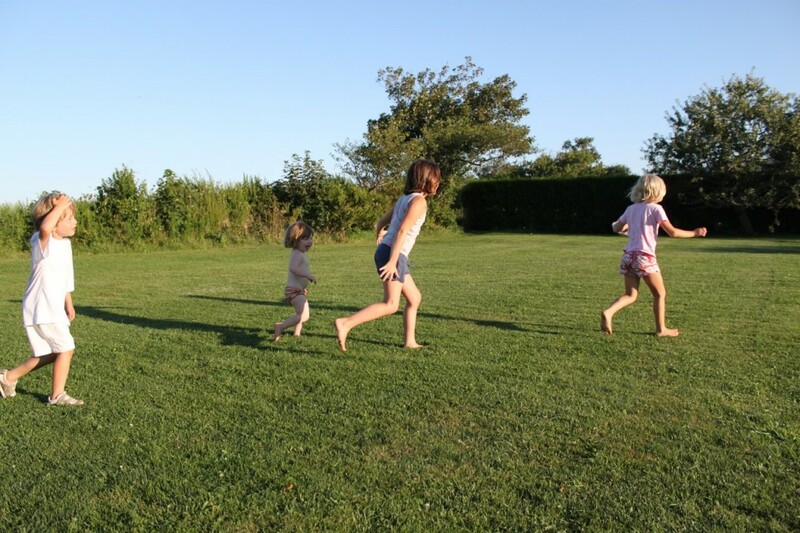 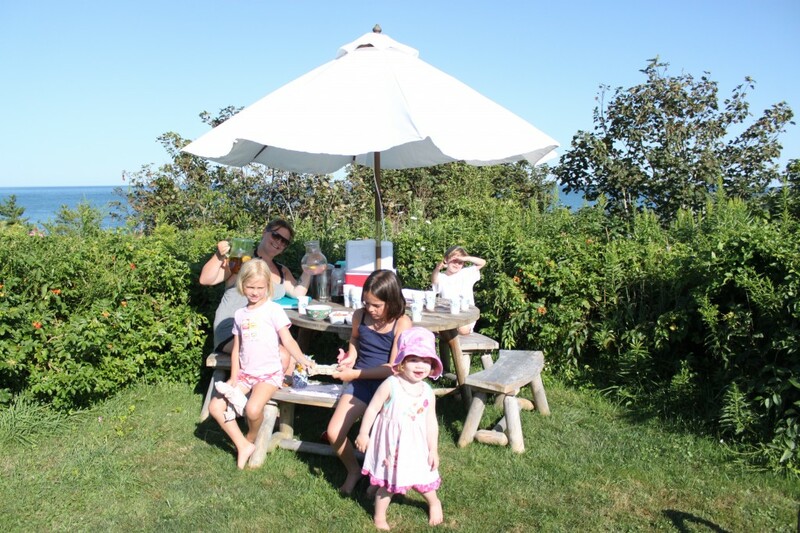 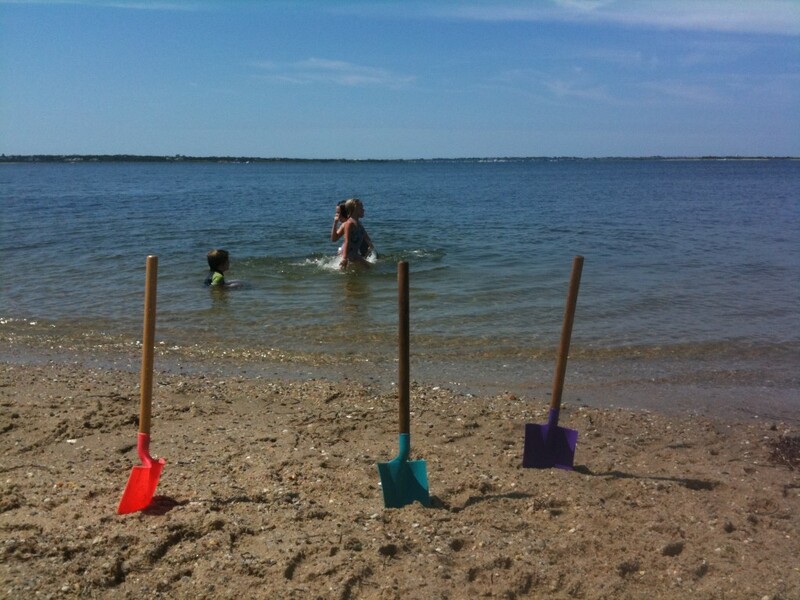 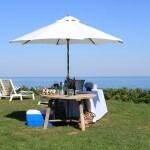 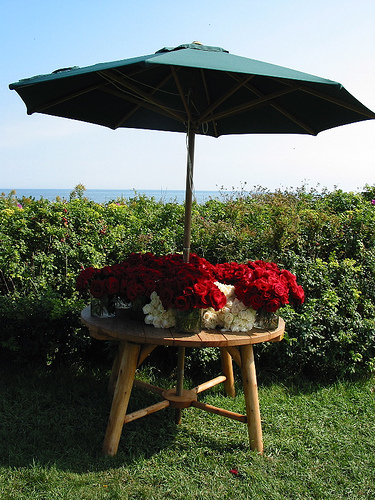 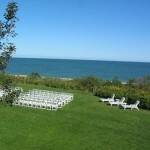 Guests enjoy use of our expansive lawn and direct beach access. 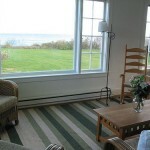 Either cottage can be rented from late May through mid October. 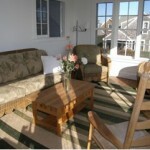 During July and August, they are rented for a minimum of one week (Saturday to Saturday). 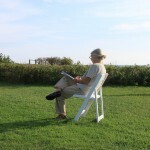 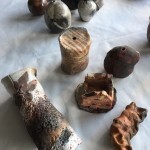 Shorter stays may be possible in spring and fall. 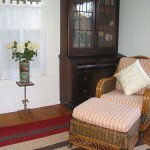 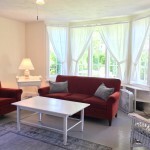 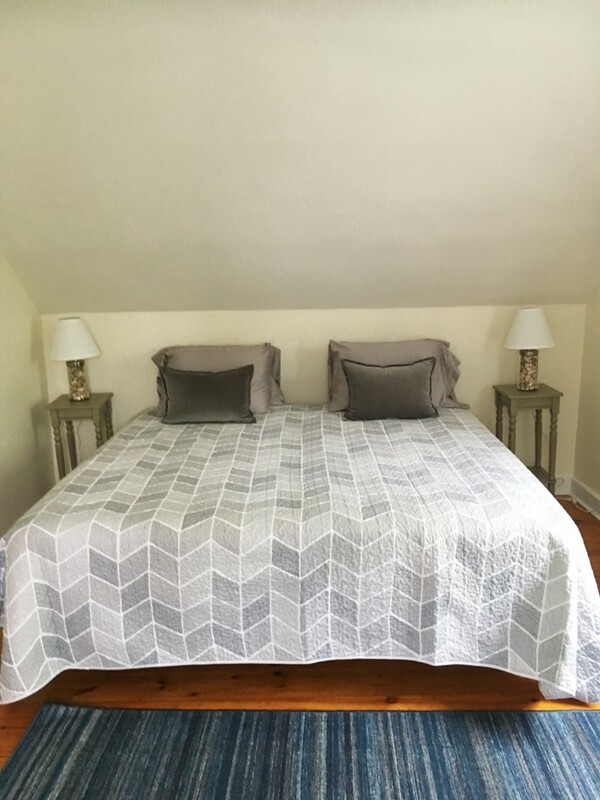 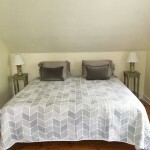 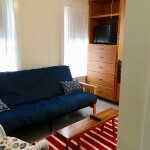 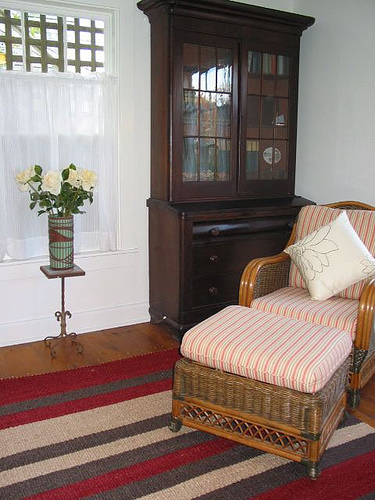 The Guest Cottage has five and a half bedrooms and sleeps up to 13 people. 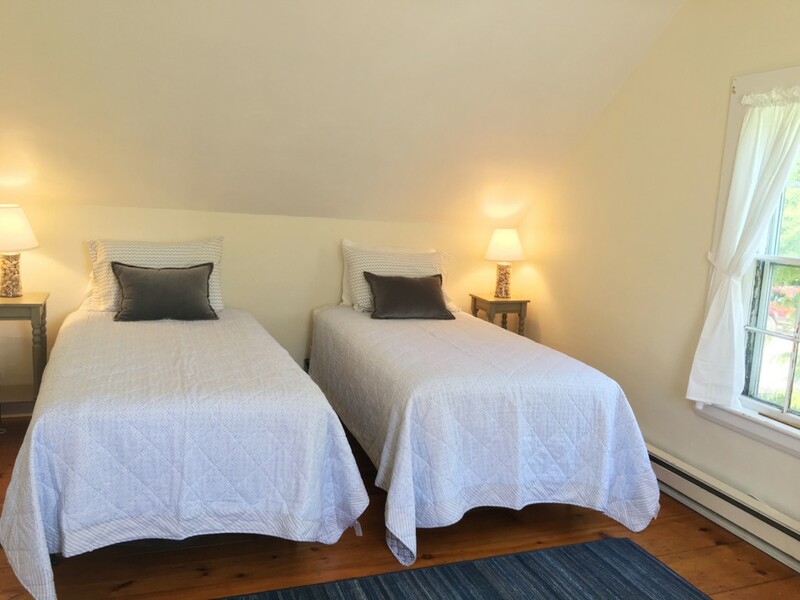 On the first floor, there are two bedrooms that can be made up either as one king or two twins. 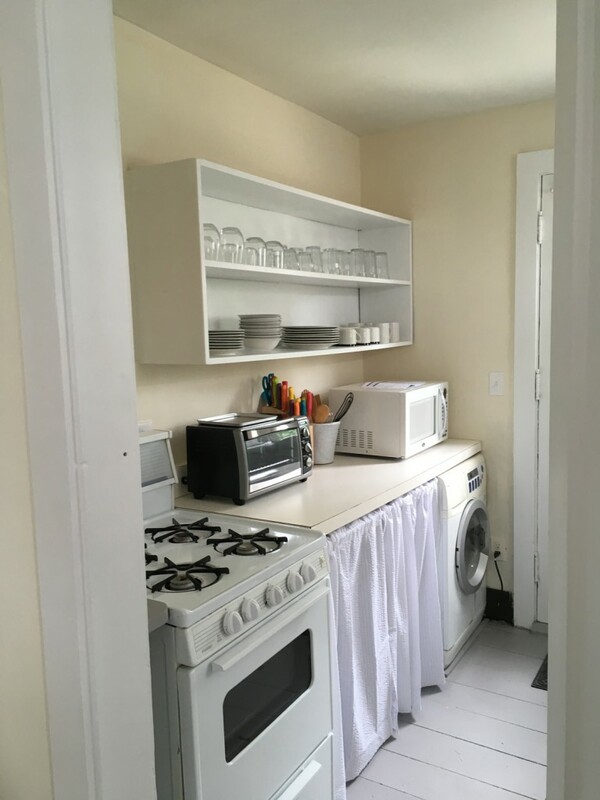 Each has its own full bath. 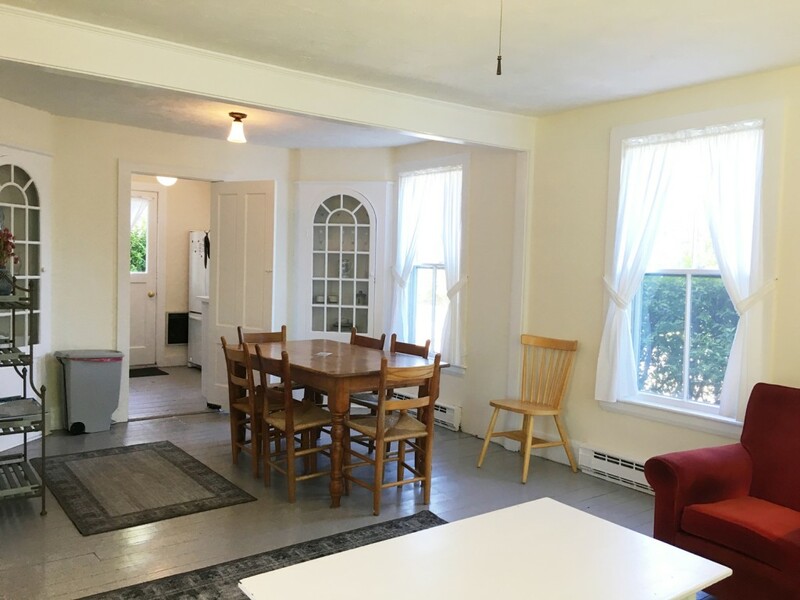 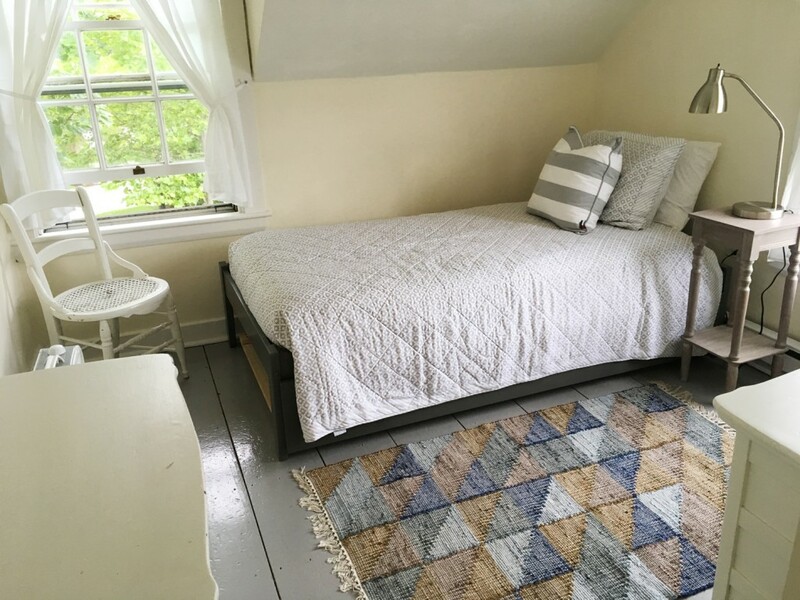 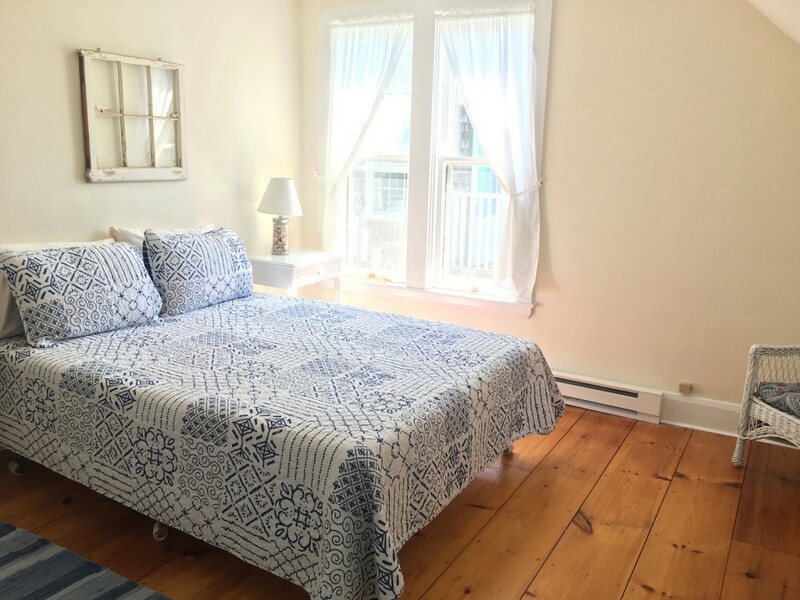 Also on the first floor are a sitting room and a den with television and futon couch that converts to a queen size bed, as well as a half-bath and door to the deck. 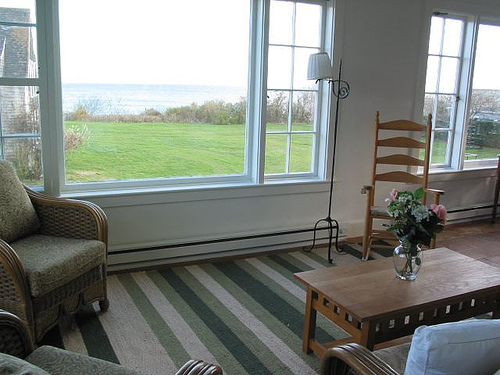 The living room, dining area, and kitchen are upstairs with striking ocean views. 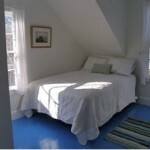 There are also four bedrooms upstairs: one queen, one double, one single, and one king or two twins. 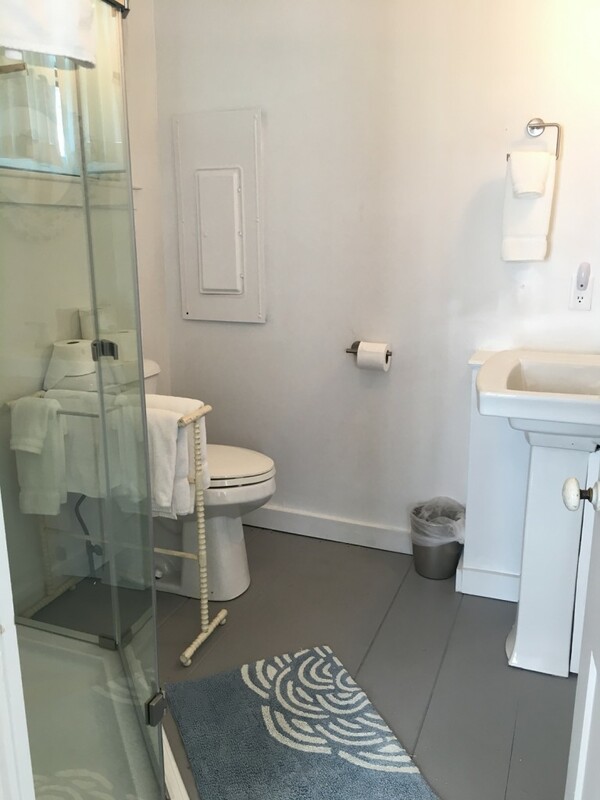 There are one and one-half baths on this floor. 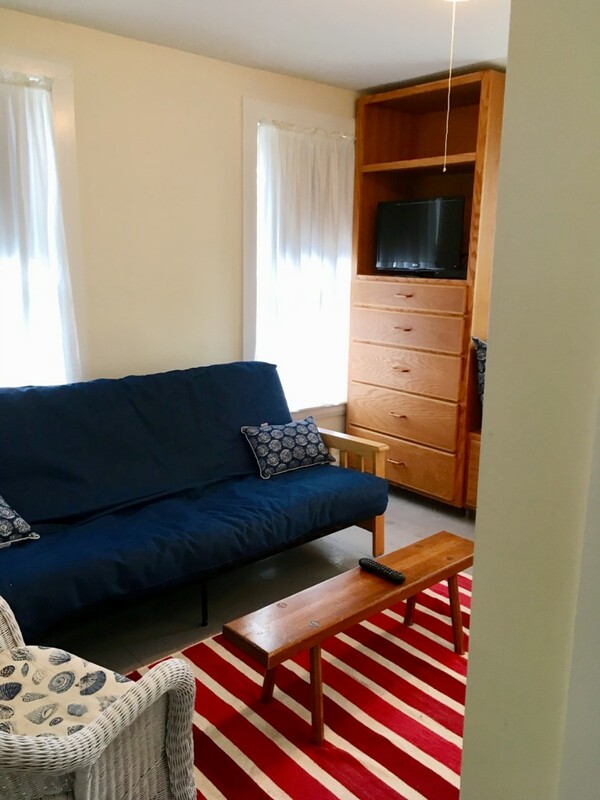 See our 2019 rates for the Guest Cottage. 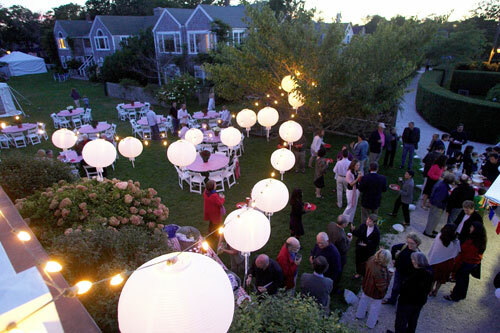 Click here to view our aerial video, shot by Georgi Totev. 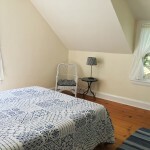 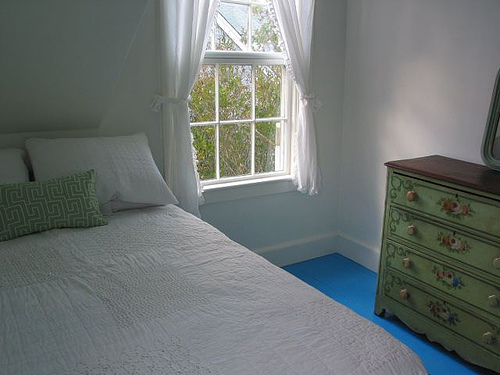 The Corner Cottage has three upstairs bedrooms and sleeps up to six people. 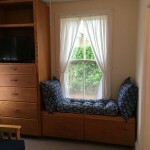 One bedroom has a queen bed, one has two twins that can be made up as a king, and the third has a twin bed with trundle. 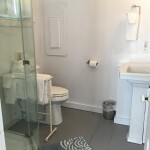 There is one full bath on the upper floor. 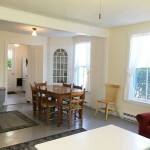 Downstairs are the living/dining room, den with tv, outfitted kitchen, and another full bath. 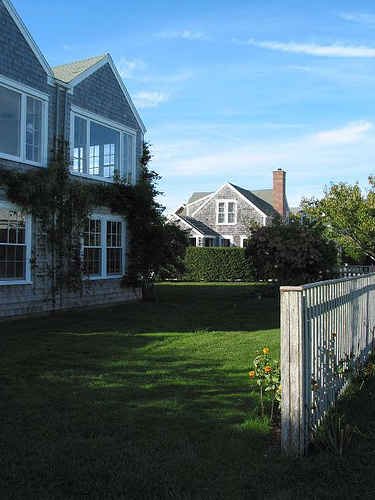 The yard is hemmed in by privet, making it a private space for outdoor grilling, dining, or relaxing on a chaise. 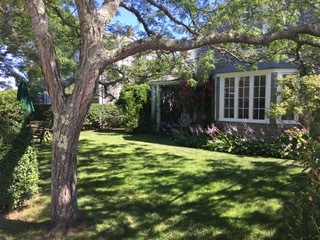 There is also a small covered porch. 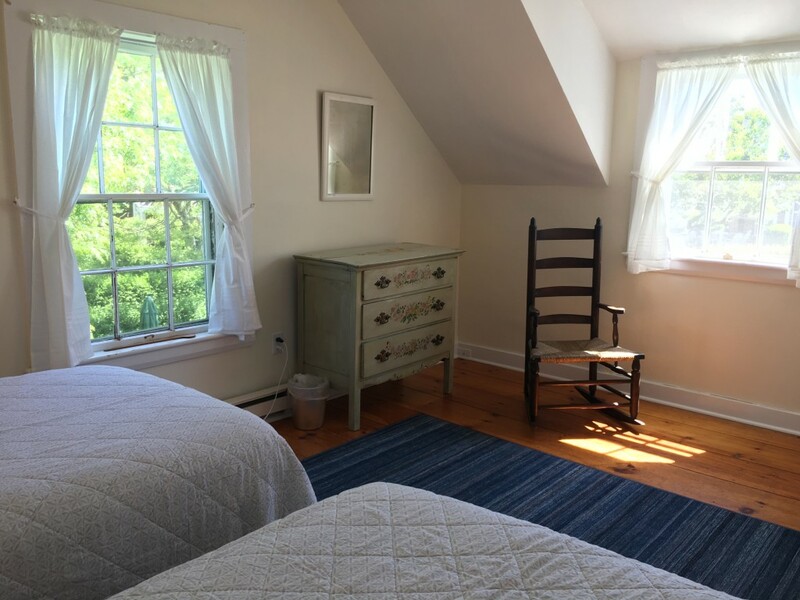 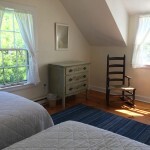 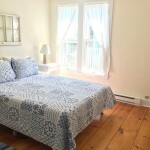 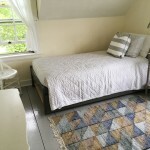 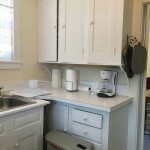 See our 2019 rates for the Corner Cottage. 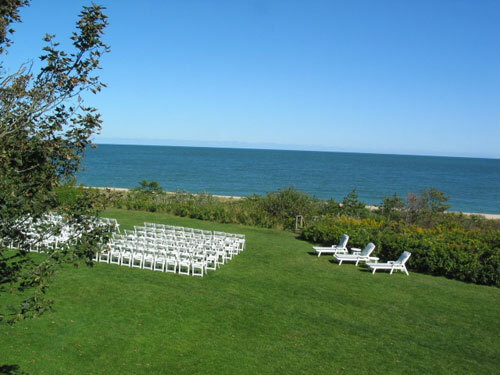 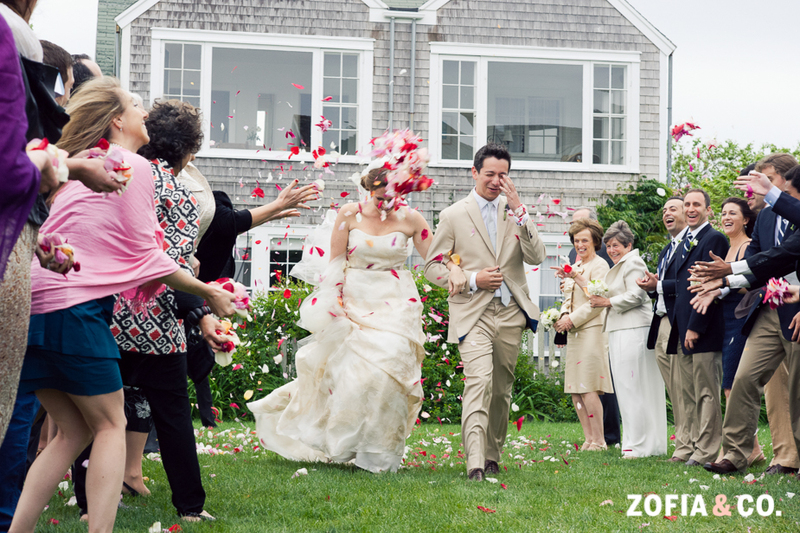 With our spectacular waterfront vistas, spacious lawn, and direct access to the the pristine beach below — all within easy walking distance of the village — the Wade Cottages are the perfect wedding venue. 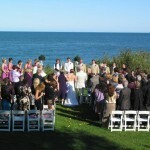 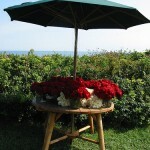 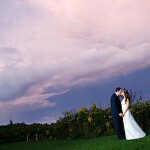 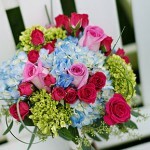 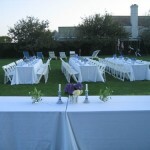 Weddings can be held at the Cottages in June and September. 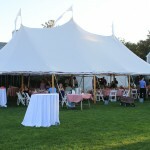 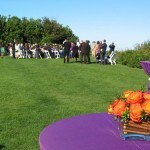 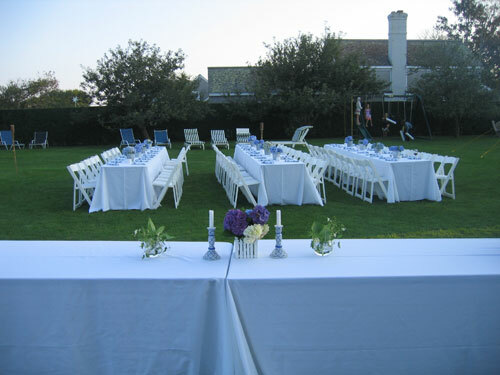 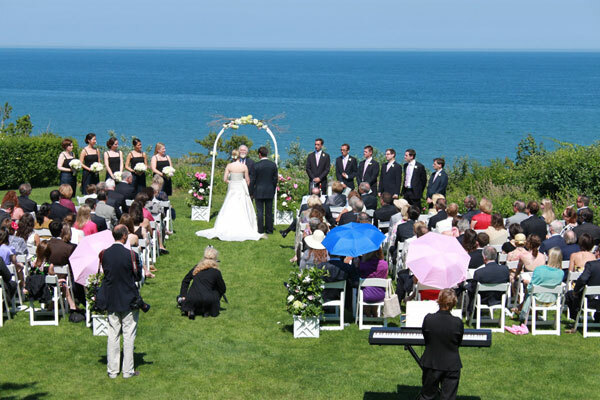 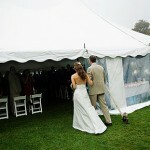 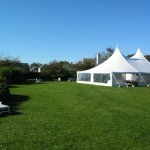 The lawn can accommodate a reception tent up to 32 feet in width and 60 feet in length. 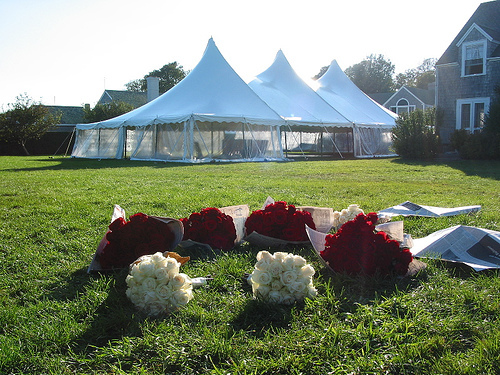 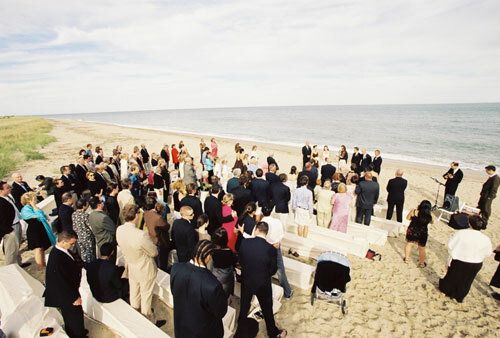 Use of the grounds all day Saturday (or another day if preferred) for wedding ceremony and/or reception. 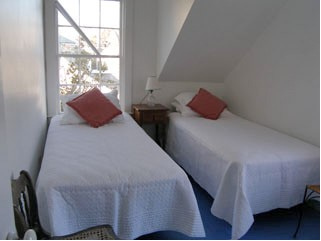 Four nights accommodation in the Guest Cottage, which sleeps up to 13 people. 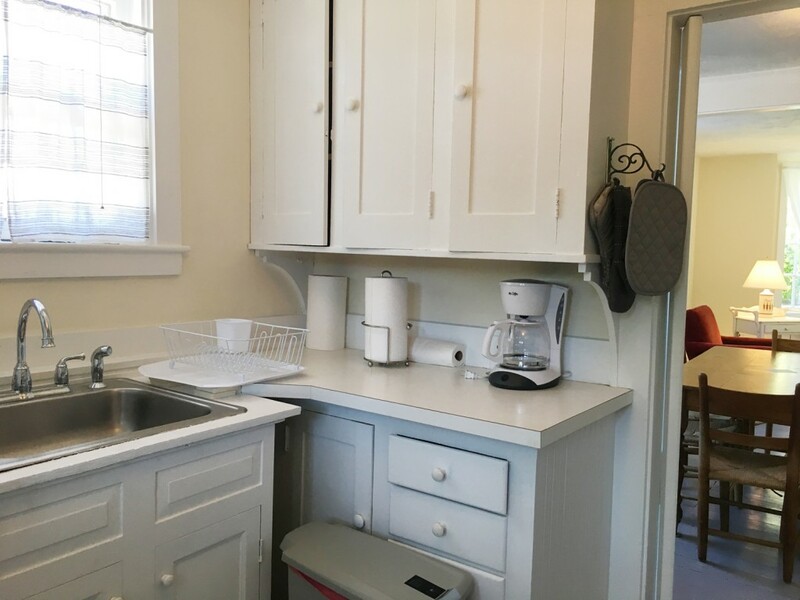 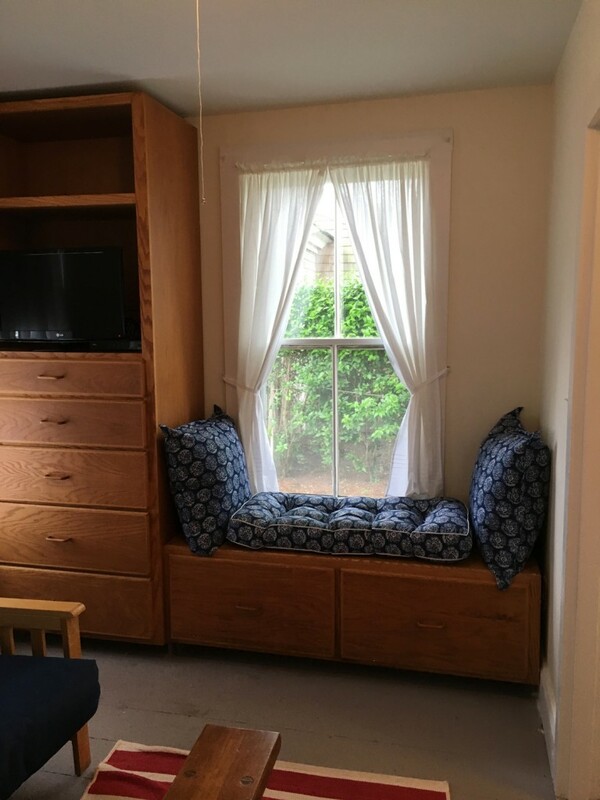 If more space is needed, we can often help secure additional nearby cottages, owned by neighbors, but rental of these is not included in the package price. 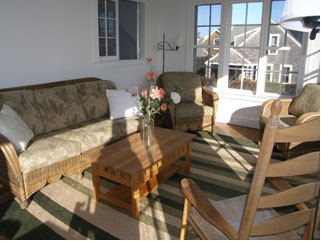 Our four-day package generally runs Wednesday to Sunday but may also be available Thursday to Monday. 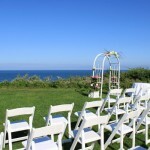 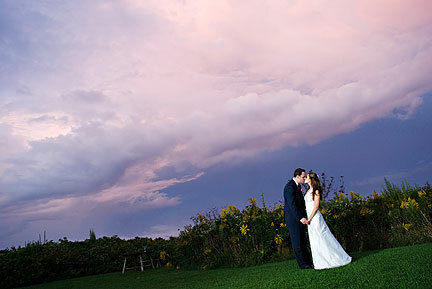 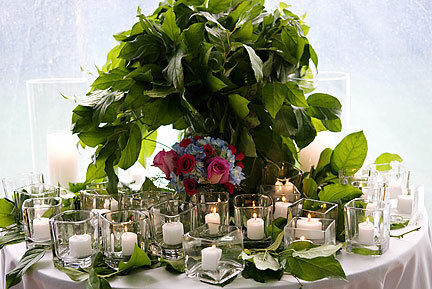 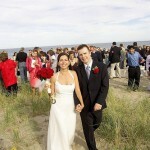 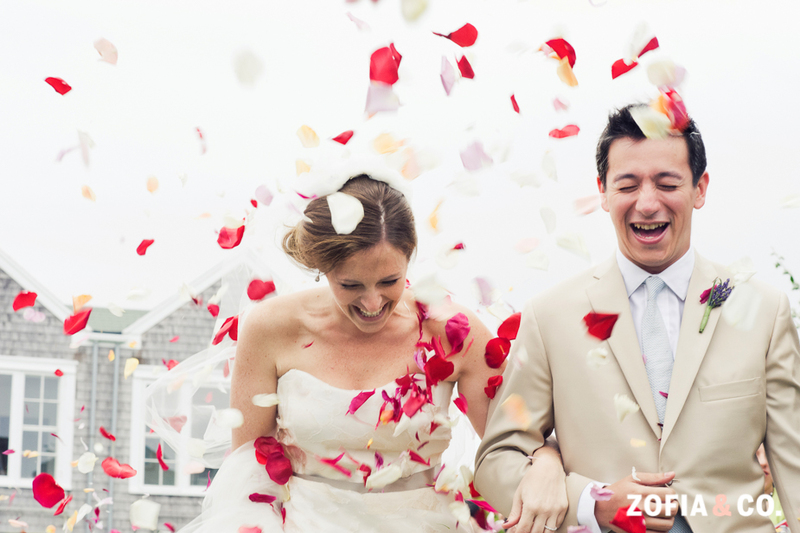 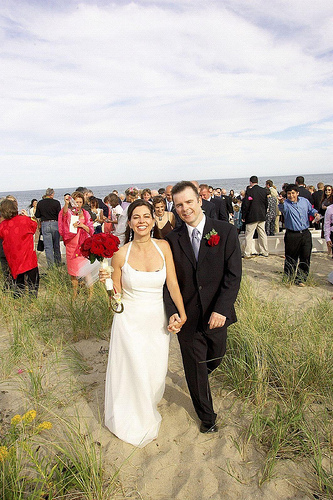 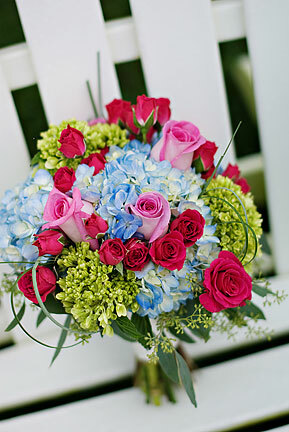 Longer lengths of stay as well as personalized wedding packages may be available upon request. 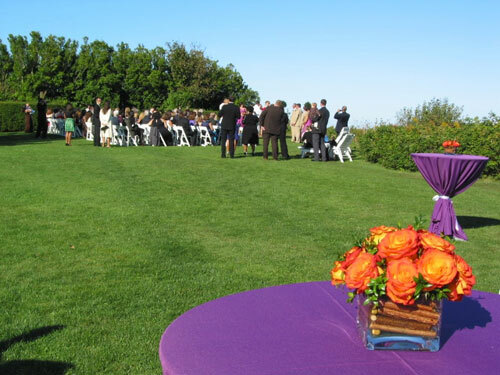 Package Price: $10,000 for up to 80 guests and $12,000 for 80 to 150 guests. 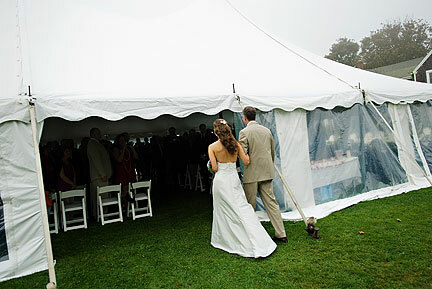 Please read our Terms & Conditions and see a list of Vendors & Contacts. 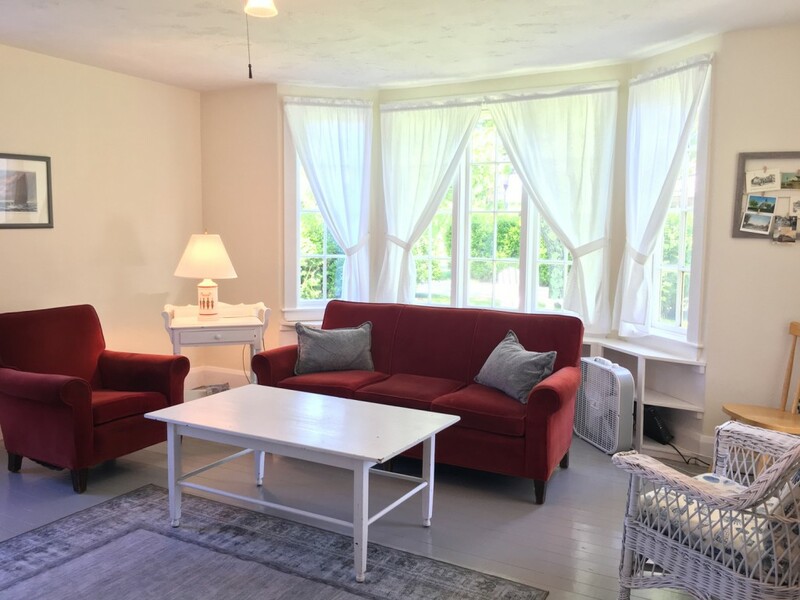 Whether it’s to paint, write, practice yoga, do meditation, or meet with colleagues to brainstorm, the Wade Cottages is an ideal setting. 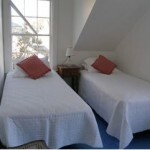 Accommodation in the Guest Cottage, which sleeps up to 13. 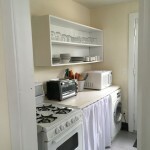 An additional, adjacent house, owned and managed separately and accommodating up to 15 people, may be available but is not included in the package price. 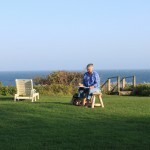 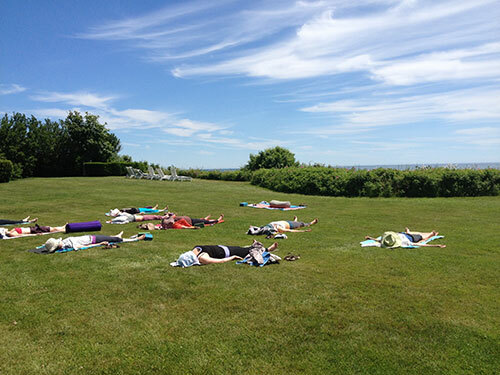 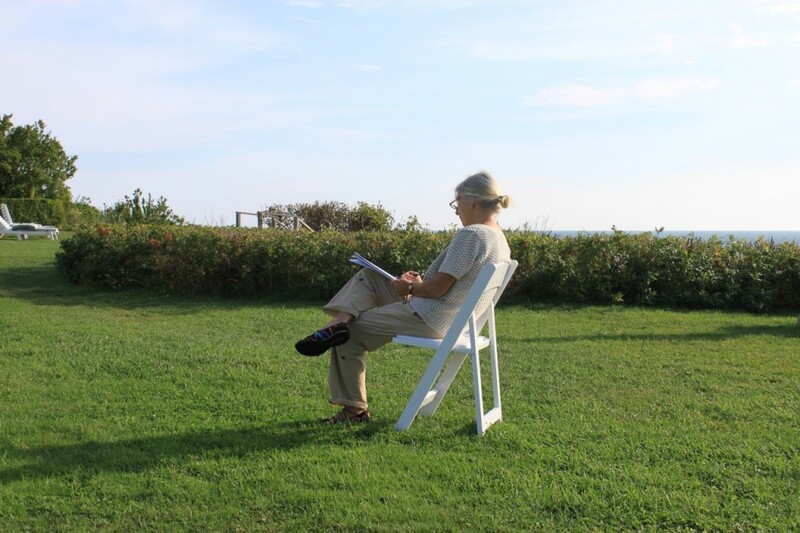 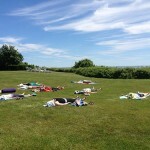 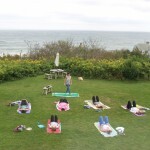 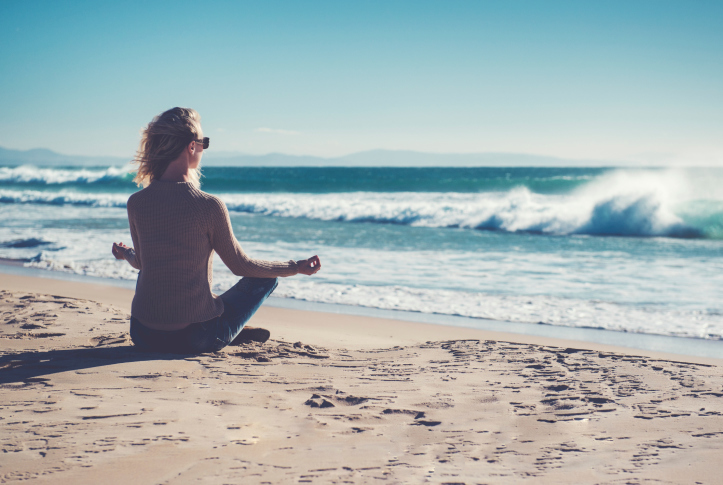 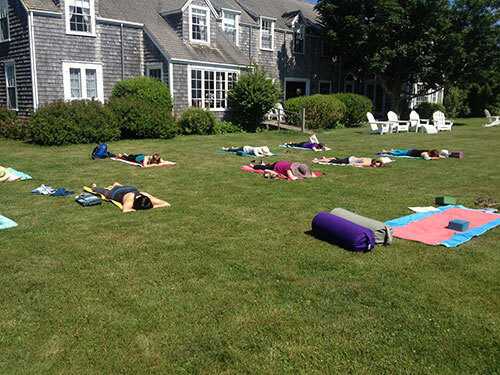 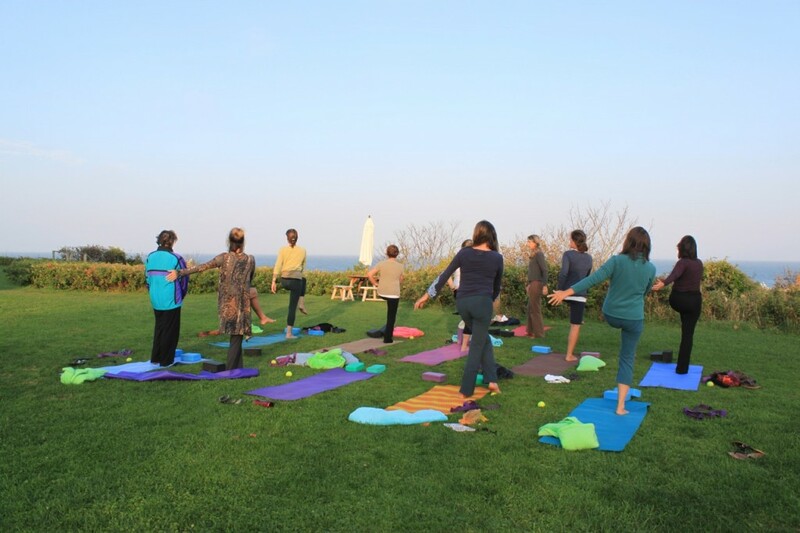 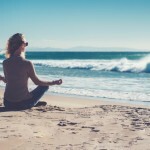 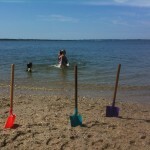 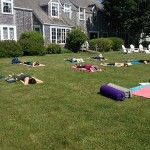 Use of the expansive lawn and pristine beach, ideal for yoga, meditation, or painting. 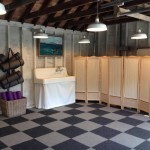 Access to the studio, which provides an indoor space for activities if weather doesn’t cooperate. 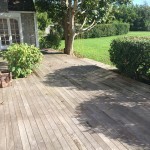 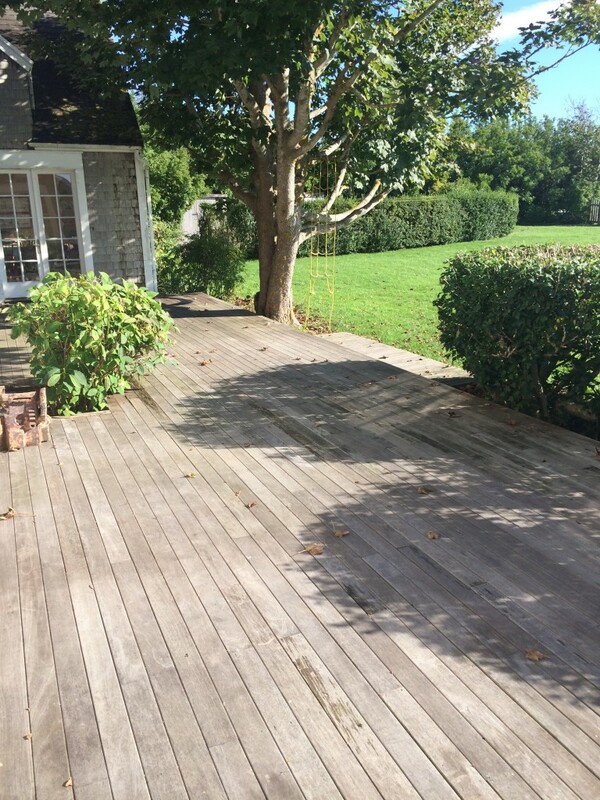 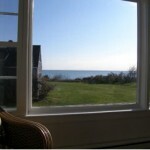 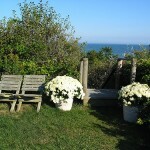 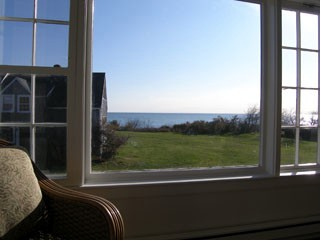 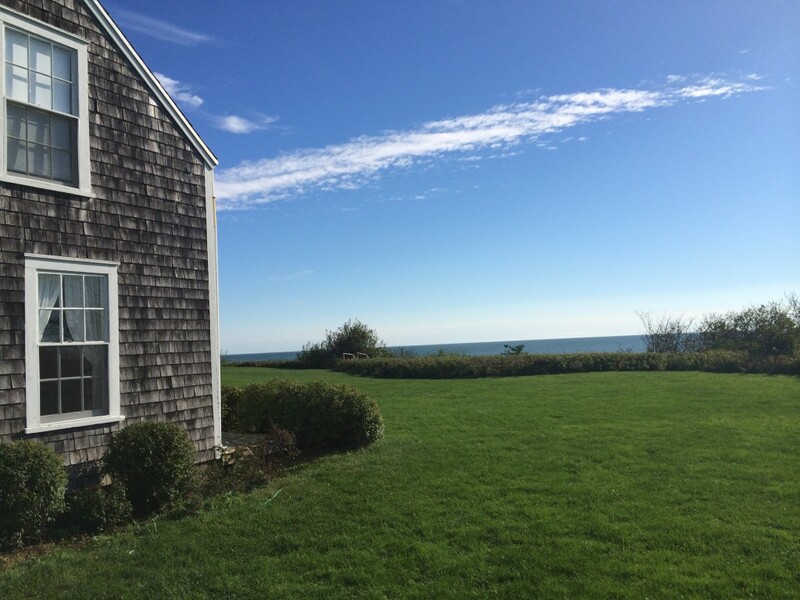 Please inquire about the large ocean-facing deck of the Main House. 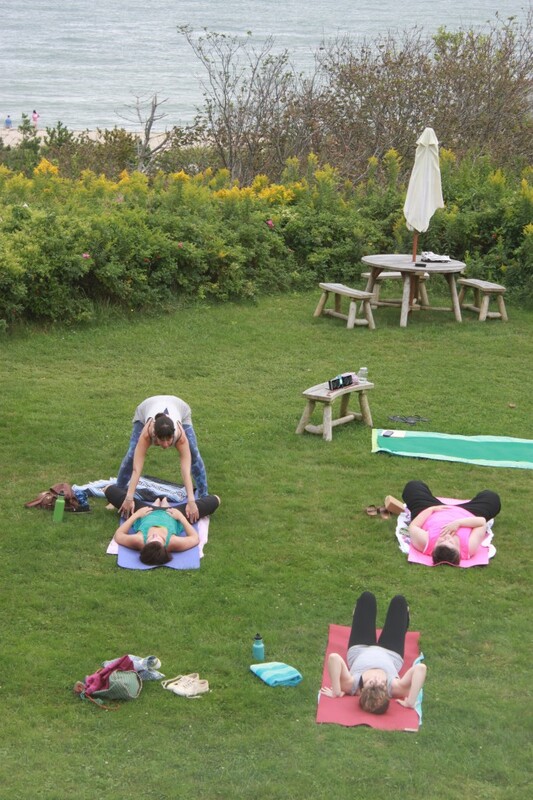 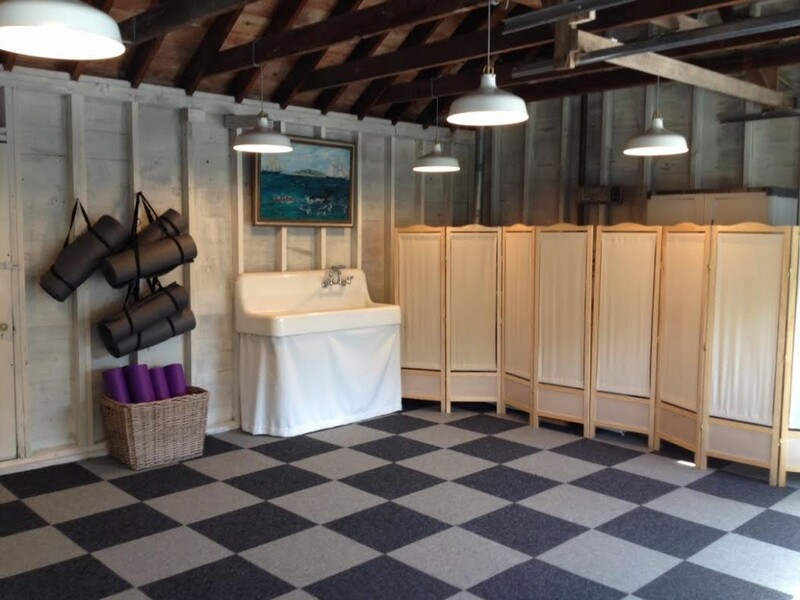 It is yet another of the Cottages’ ideal spots for yoga. 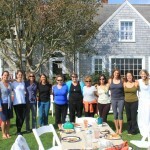 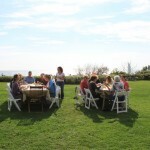 We offer four-day retreats in May/June/September/October for $4,250 and week-long retreats for $7,000. 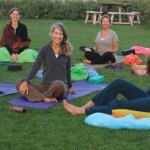 In July and August, four-day retreats are $5,250 and week-long retreats are $9,000. 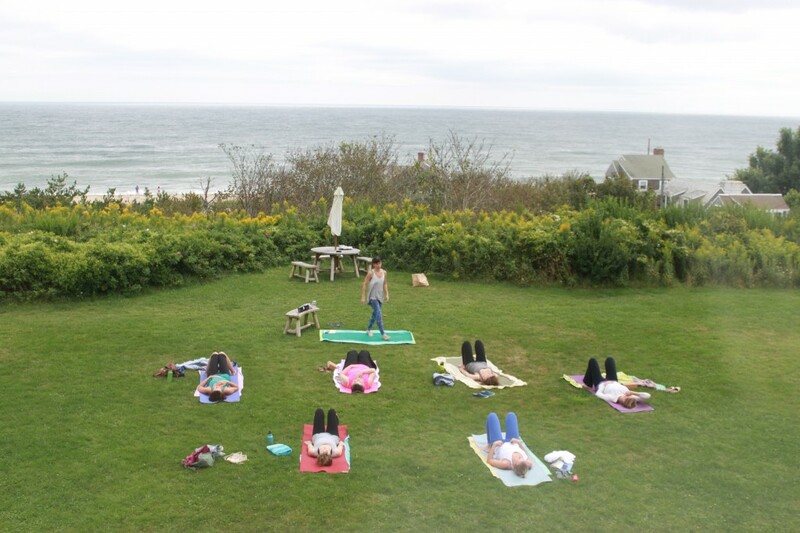 Tailored retreat packages may be available upon request. 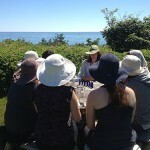 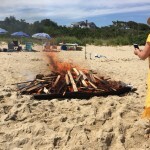 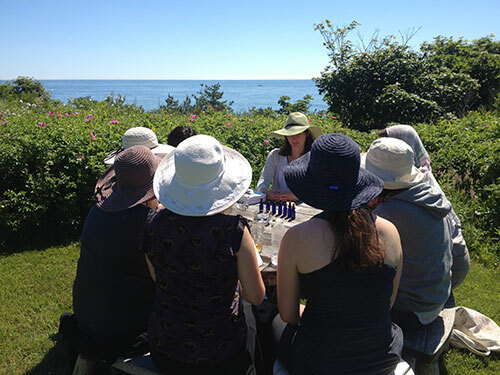 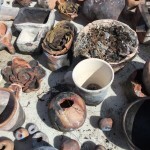 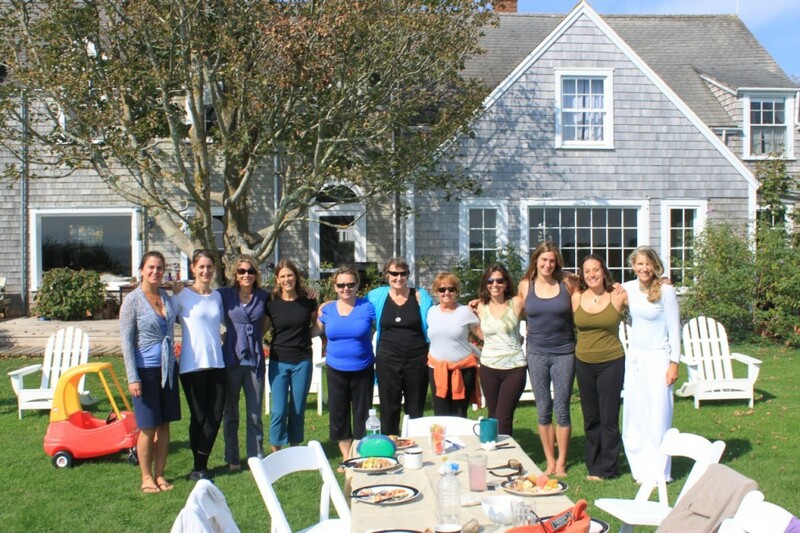 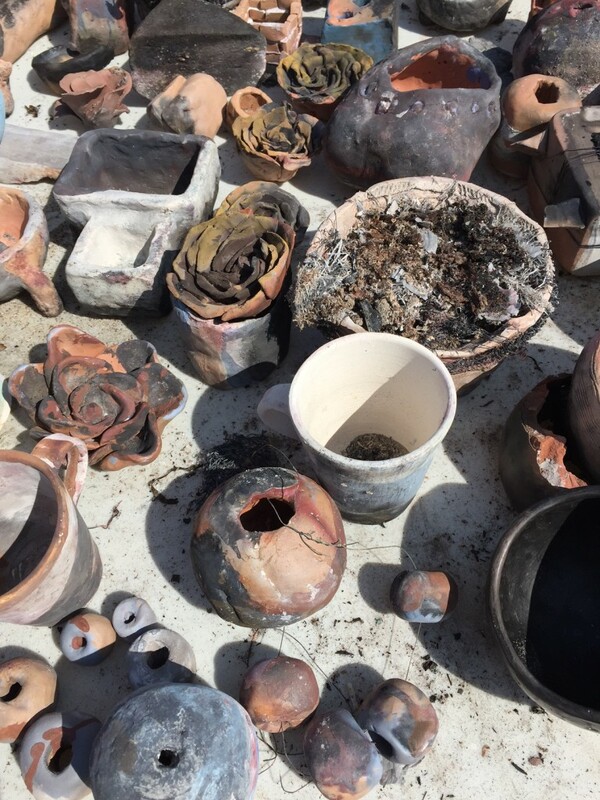 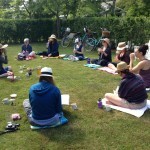 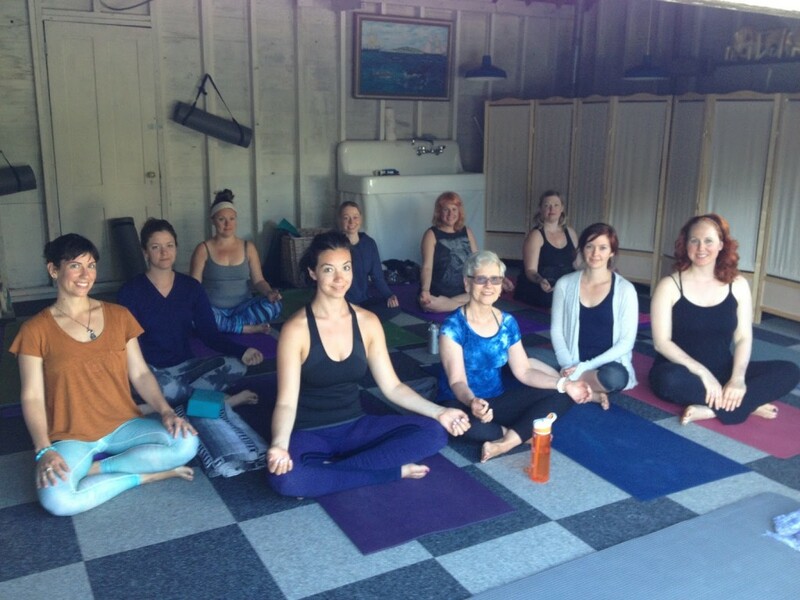 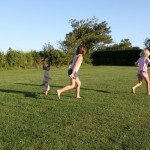 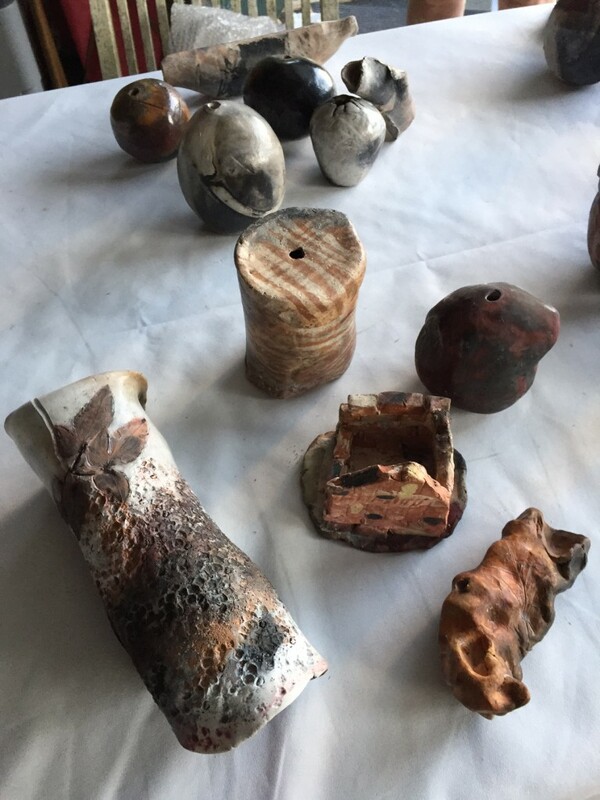 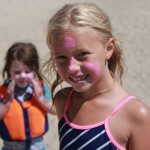 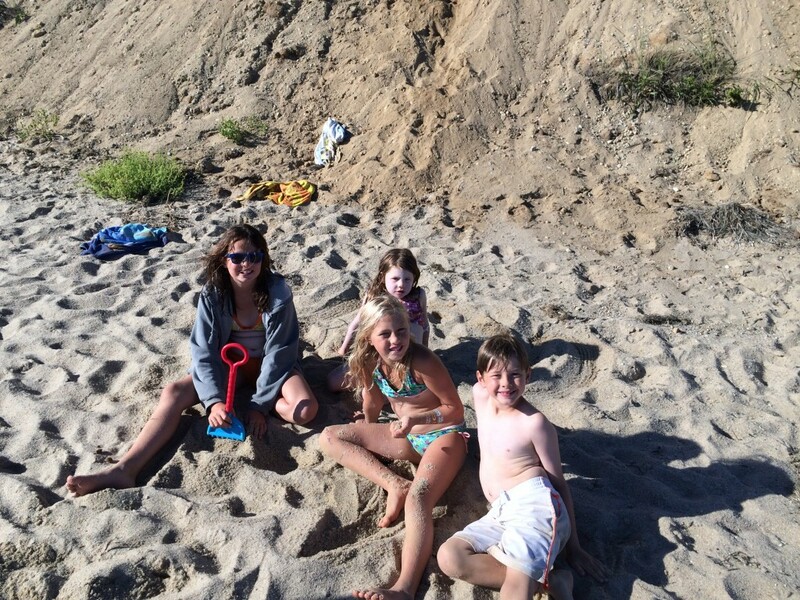 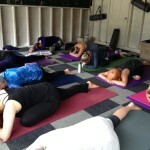 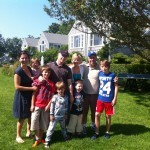 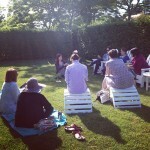 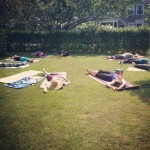 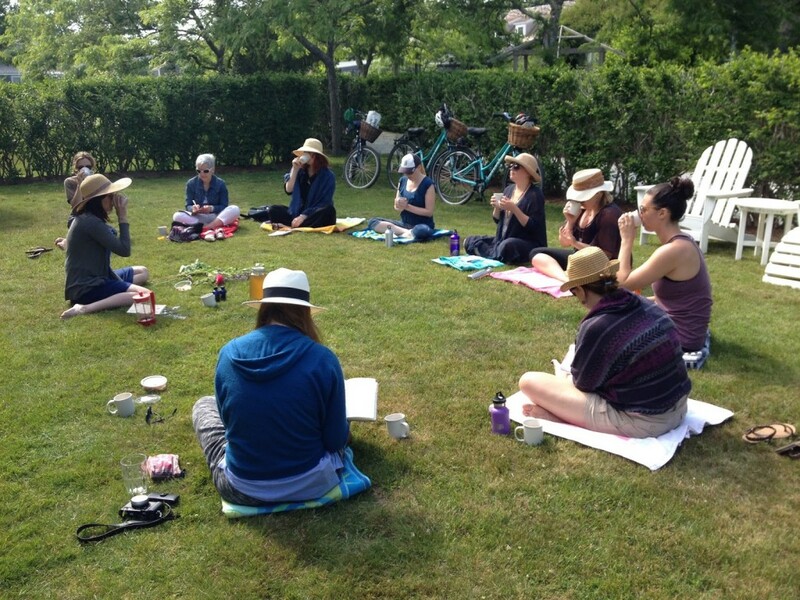 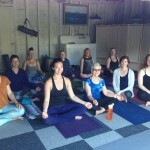 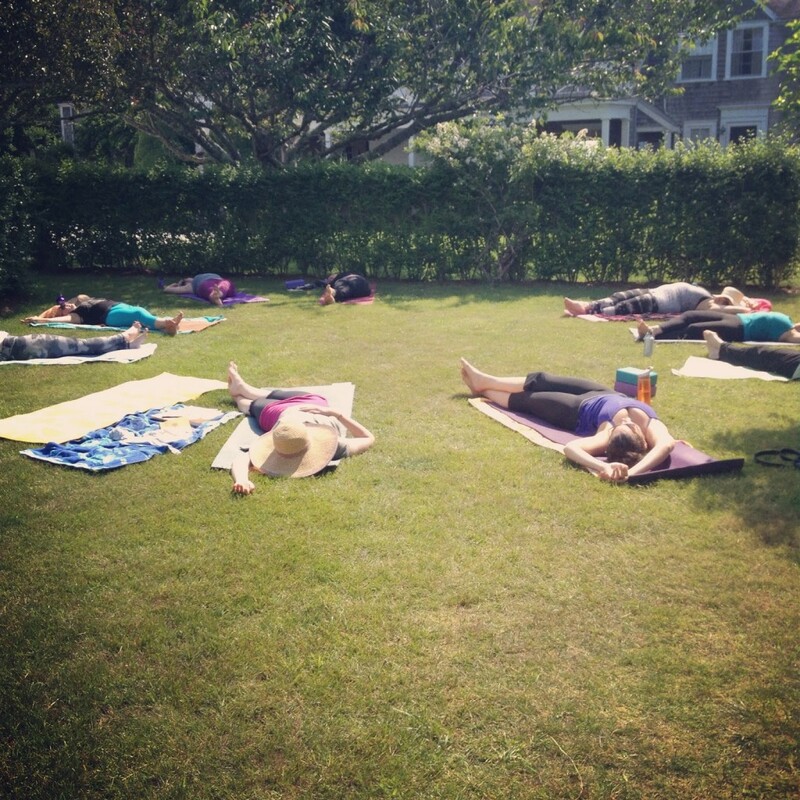 Read Jenn’s blog about her most recent retreat at the Cottages. 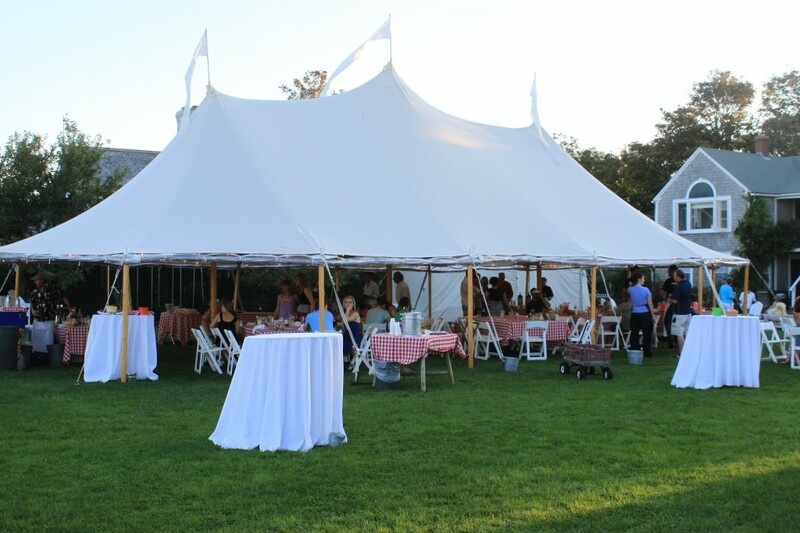 The Wade Cottages compound is an ideal setting for celebrations of all sorts, from family reunions to anniversary parties or fundraisers. 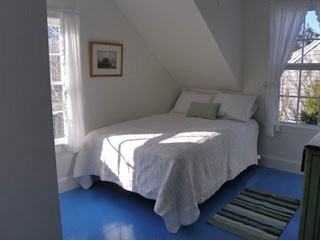 The Guest Cottage sleeps ups to 13 people. 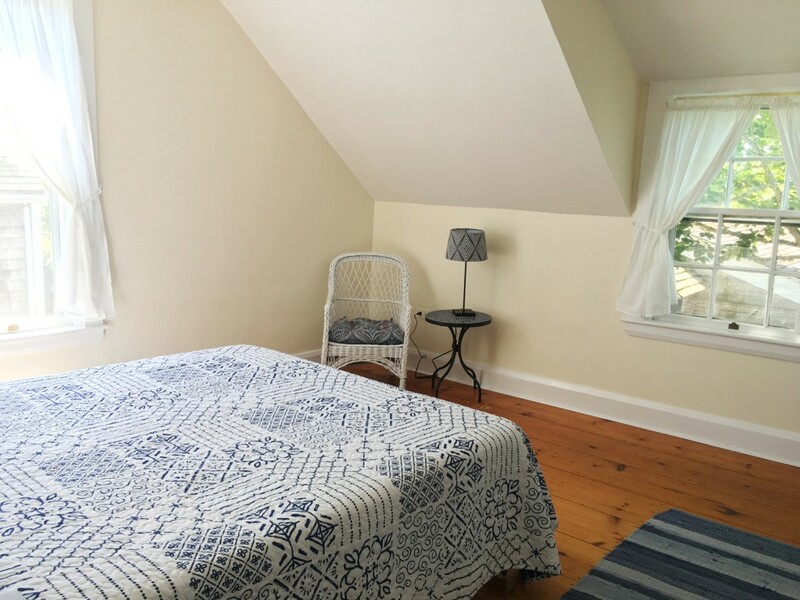 If more space is needed, we can often help secure additional nearby cottages, owned by neighbors, but rental of these is not included in a package price. 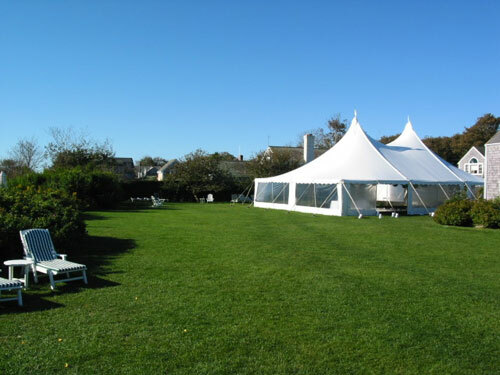 While the lawn can accommodate a large reception tent, it’s also the perfect setting for games of badminton, croquet, touch football, baseball, or soccer. 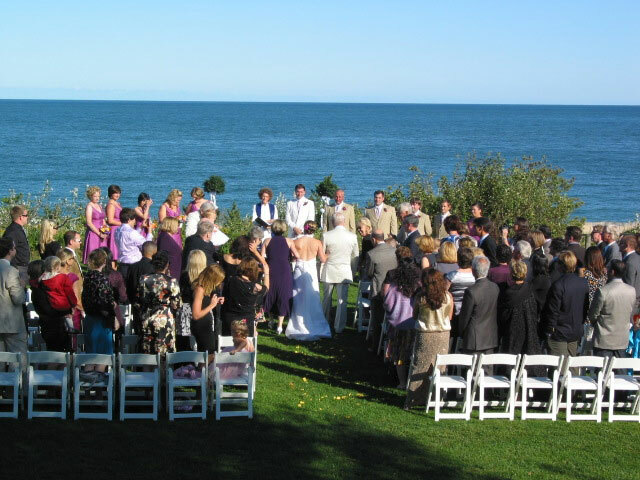 The spacious living, dining room, and ocean-facing deck of the Main House, available at certain times upon request, are ideal for celebrations of up to 80 guests. 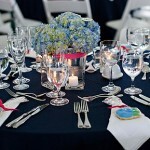 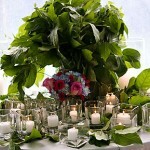 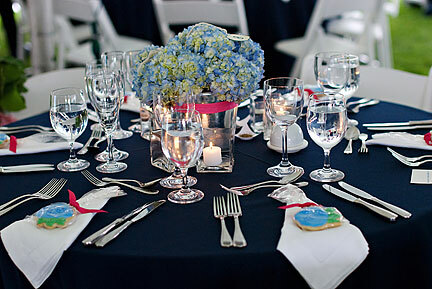 All special occasion packages are customized based on your unique event. 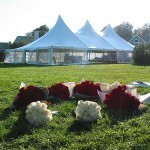 Please contact us to discuss a tailored package and pricing. 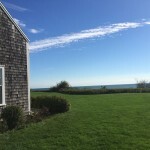 “Here in ‘Sconset, between the cranberry bogs and the rose-grown bluffs, is one of the most beguiling villages in the world,” observes Holiday Magazine. 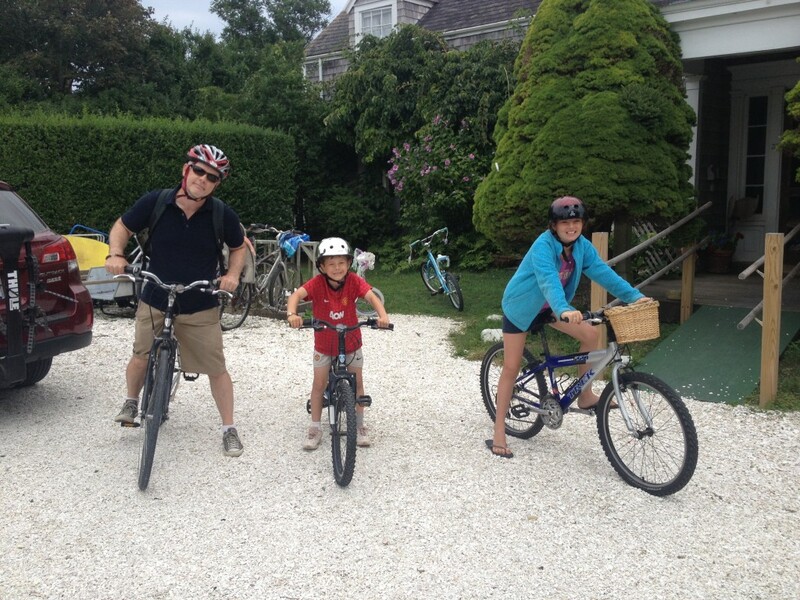 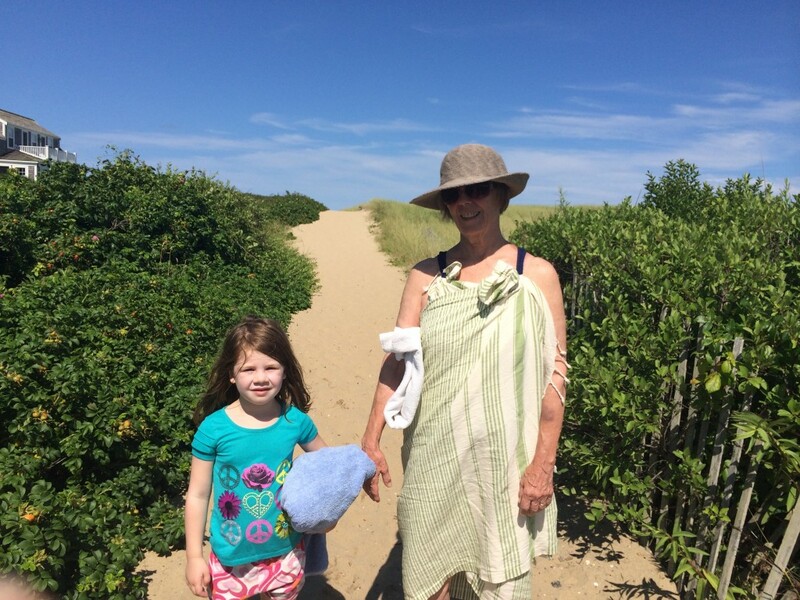 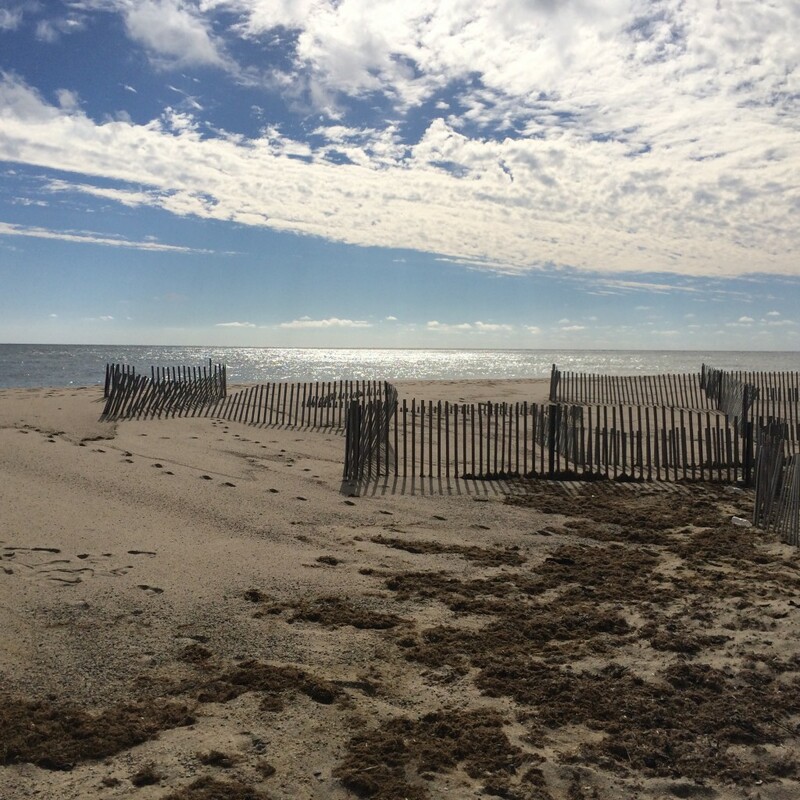 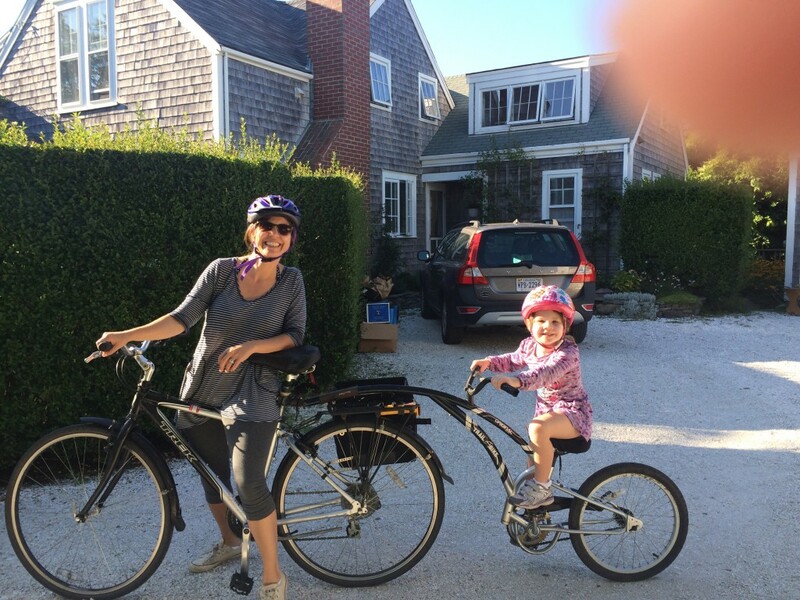 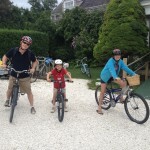 Eight miles from the town of Nantucket, ‘Sconset is easy to reach by car, taxi, island-wide shuttle, or bicycle. 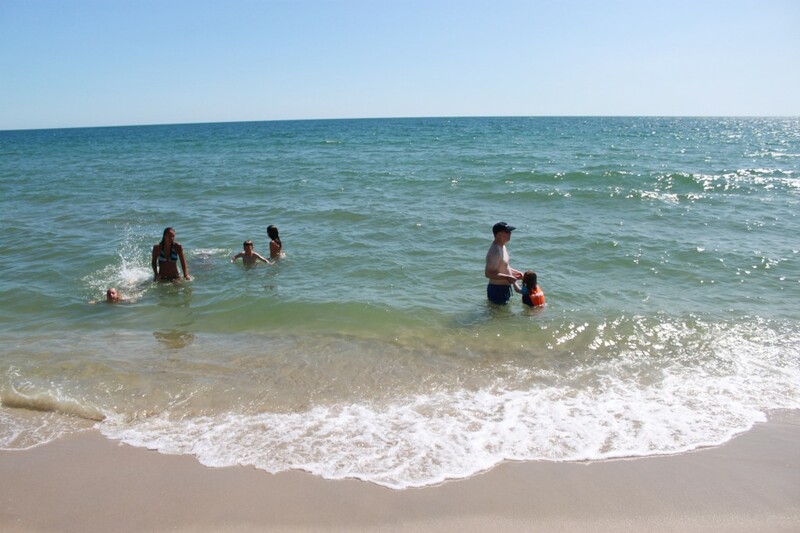 Yet it is far enough to be buffered from the summer crowds. 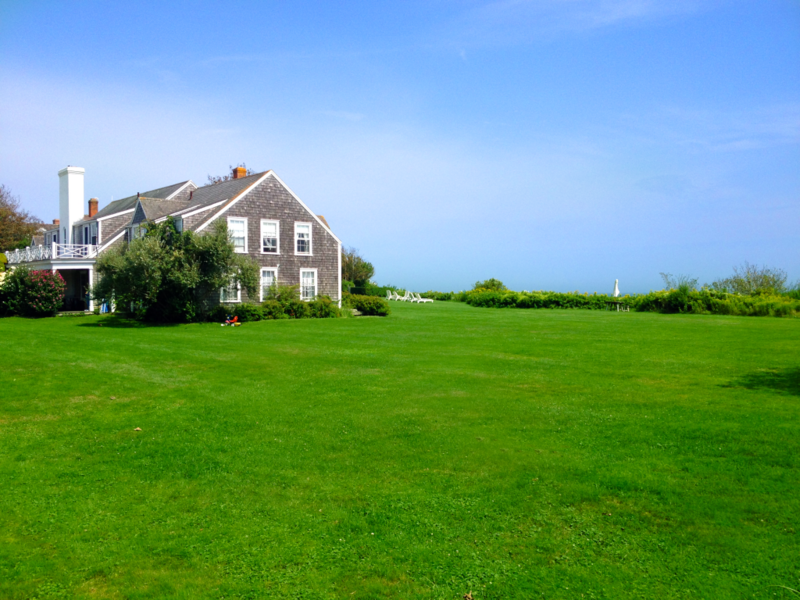 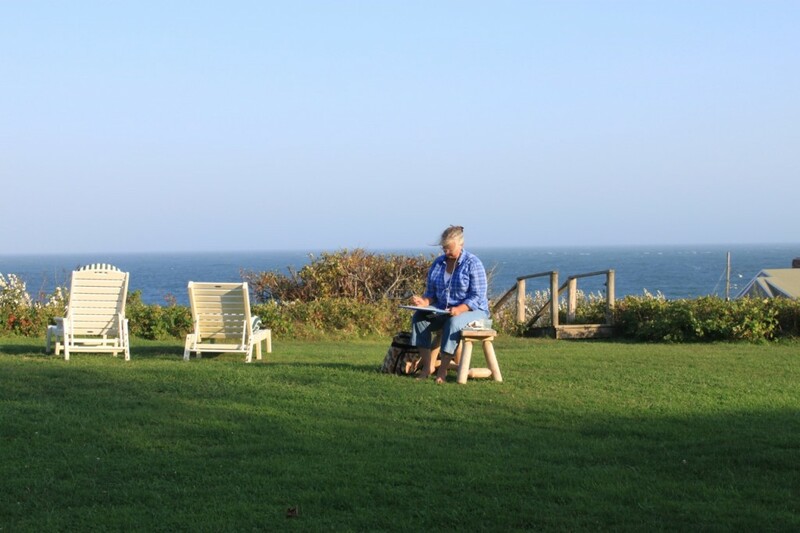 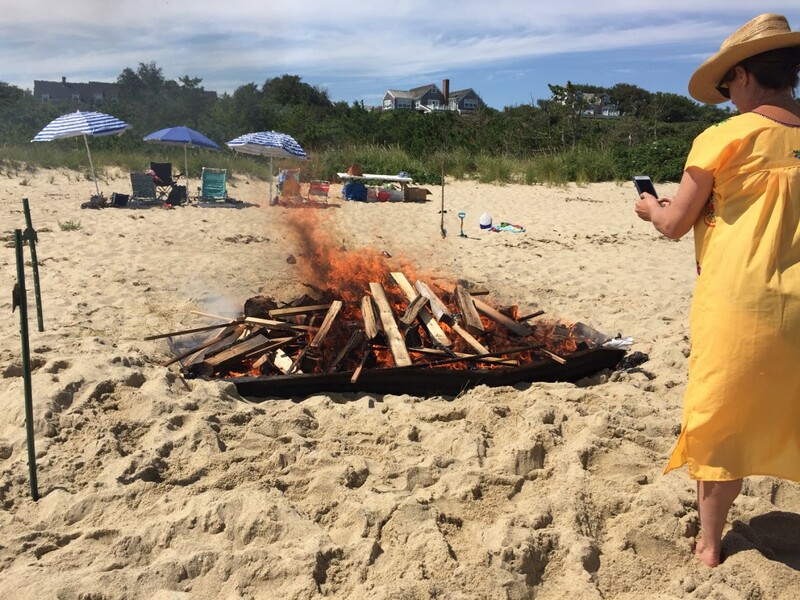 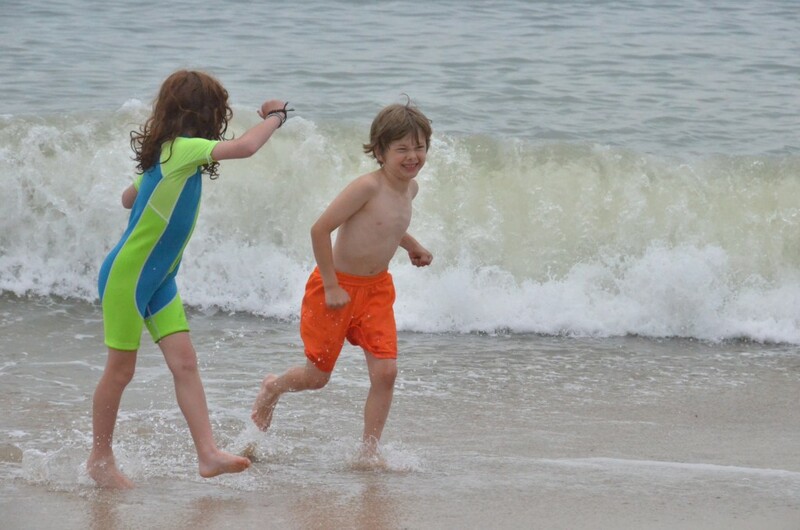 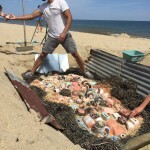 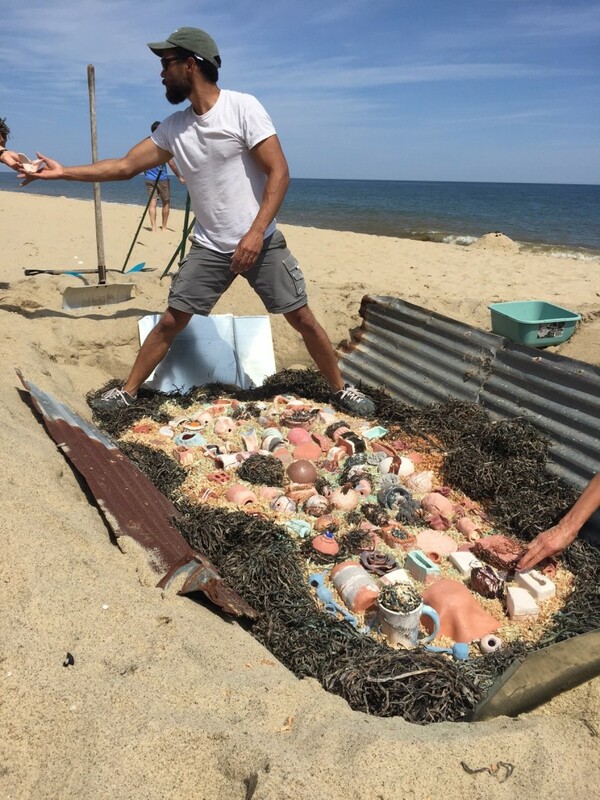 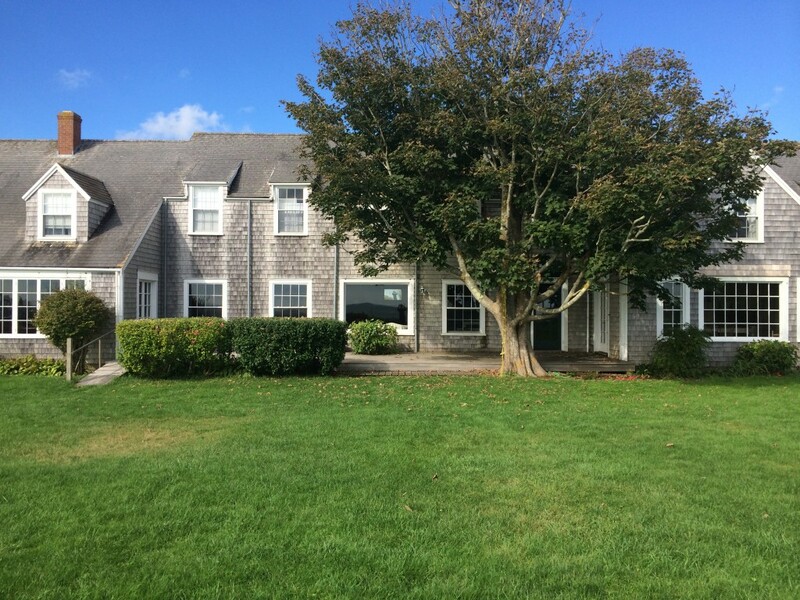 With its own casual and fine dining establishments, general store, liquor shop, post office, movie theater, non-denominational chapel, golf course, tennis courts, yoga classes, beaches, and bluff walks, ‘Sconset allows visitors to “stay put,” if they so choose. 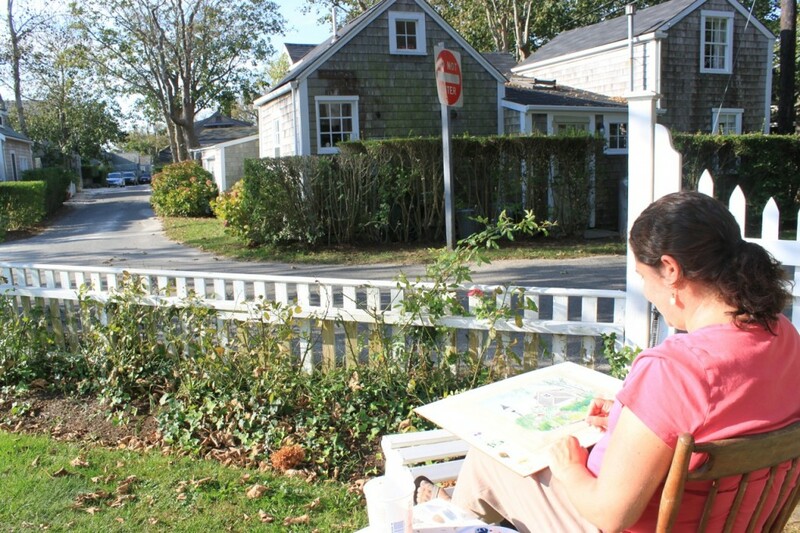 For those wanting to venture island-wide, Nantucket offers a wide range of activities, including biking, sailing, kayaking, fishing, shopping, and museum-going. 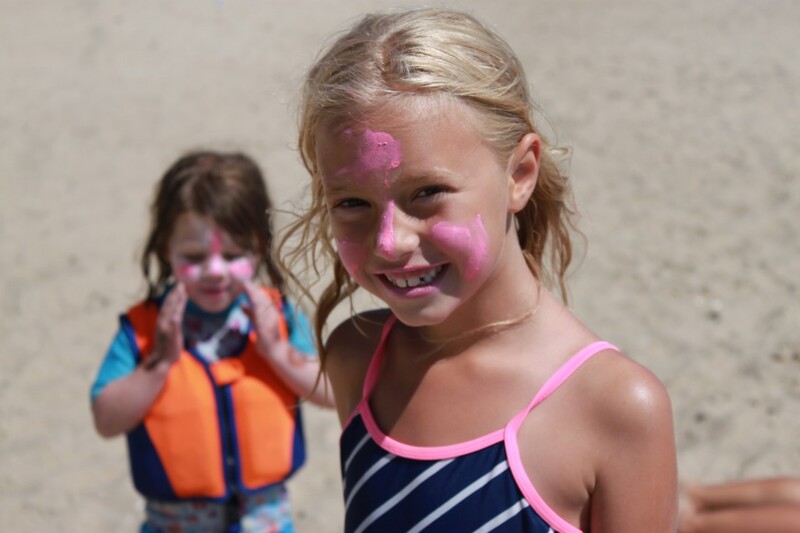 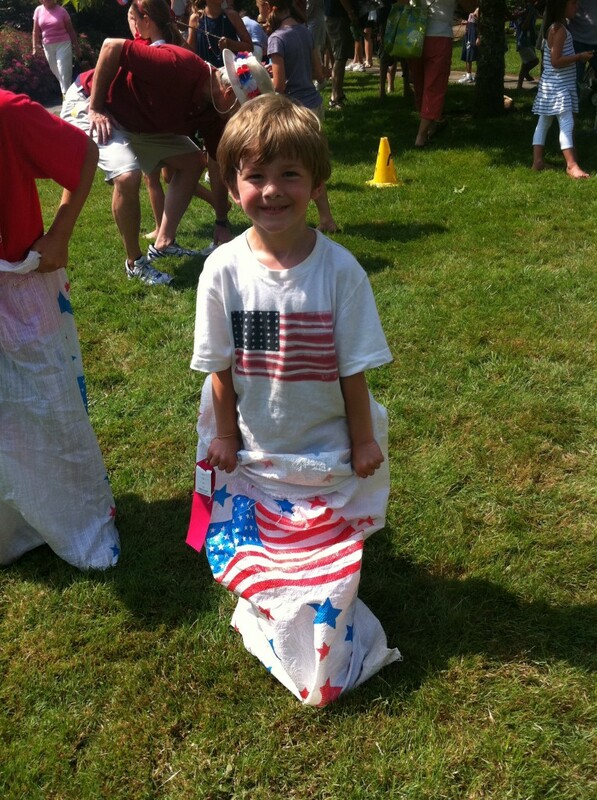 There are day camps for children and spas for adults in need of rest and relaxation. 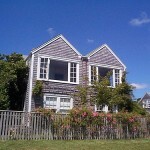 The stars in the night sky are spectacular, and the island has its own observatory. 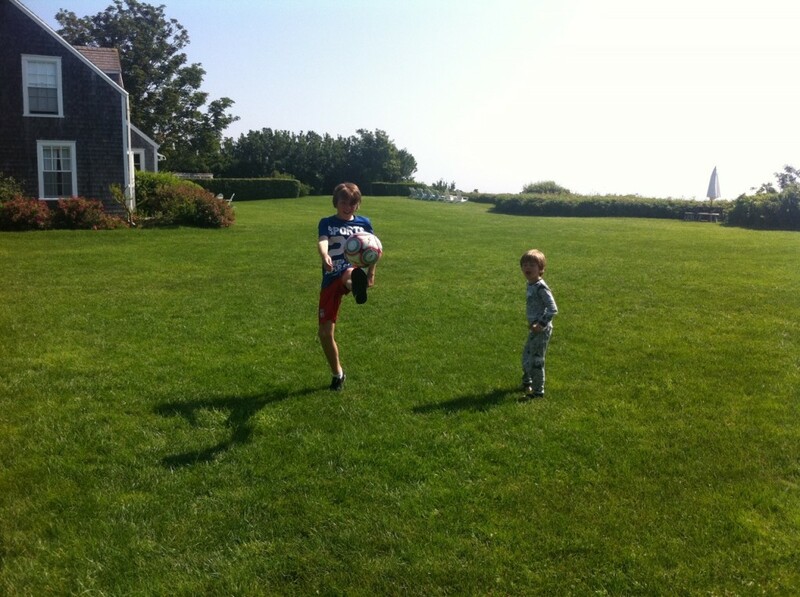 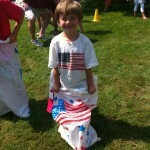 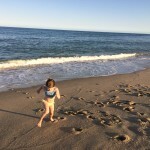 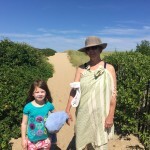 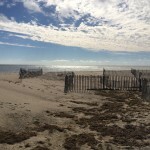 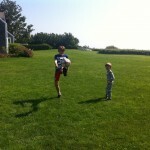 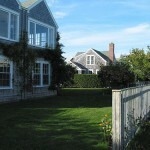 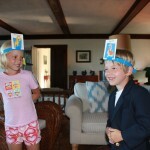 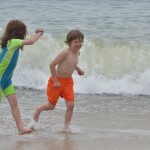 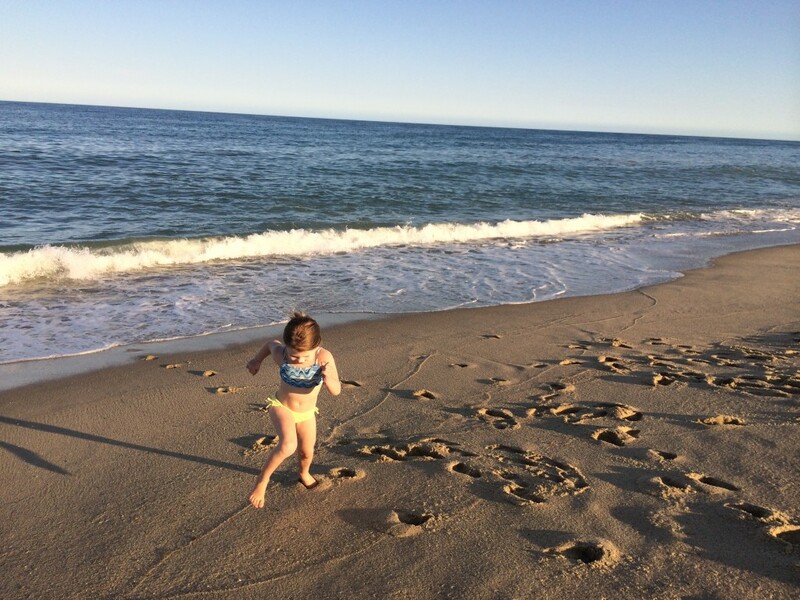 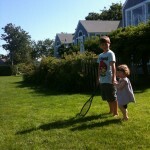 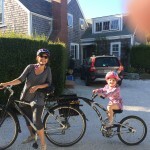 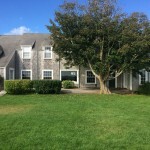 To plan your visit, go to www.nantucket.net, where you’ll find everything from bike rentals to box lunches, ferries to flights, and museums to maps. 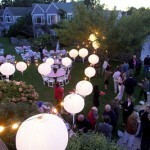 Click here to view our aerial video, shot by Georgi Totev. . 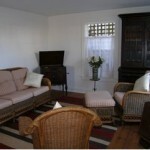 Thank you for your interest in the Wade Cottages. 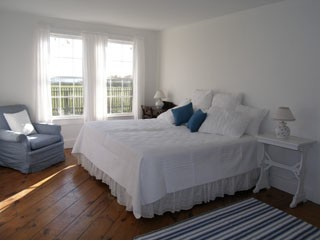 We invite you to email us at wadecottages@gmail.com for information on rental availability and all special occasions or retreats. 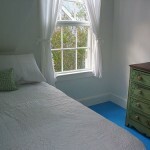 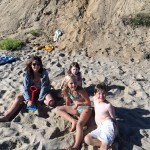 You can also find us at www.homeaway.com, where we maintain an up-to-date calendar.